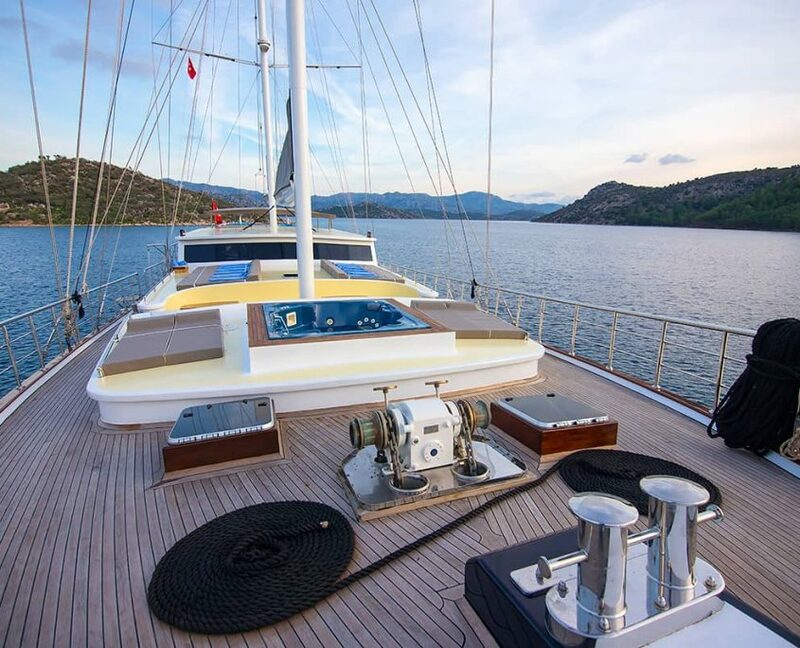 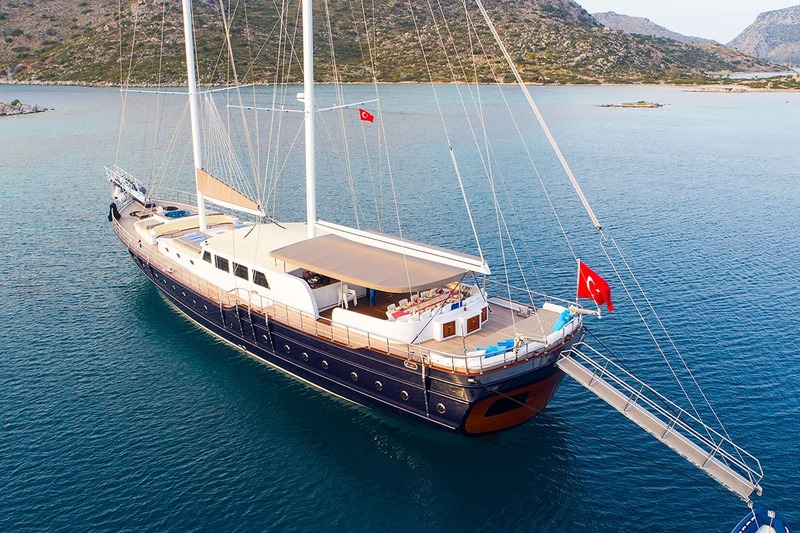 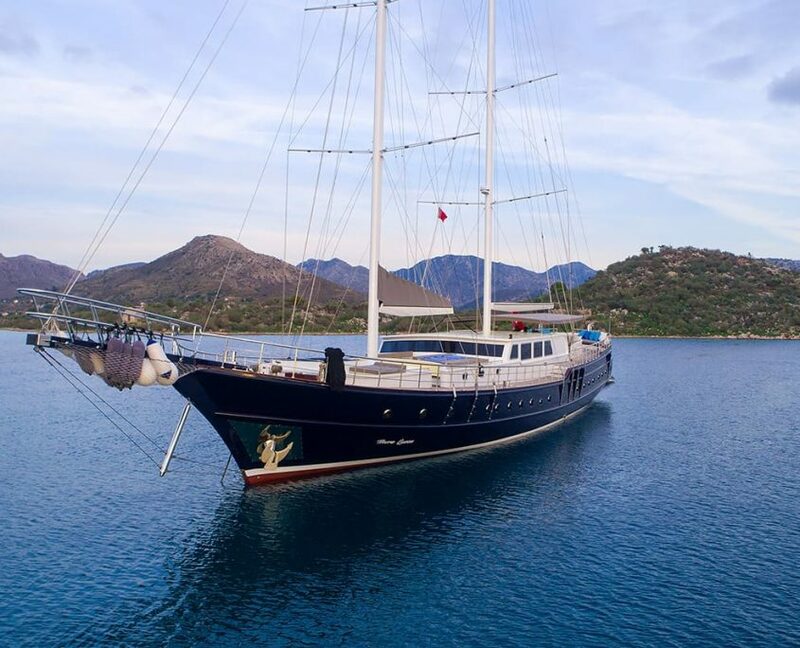 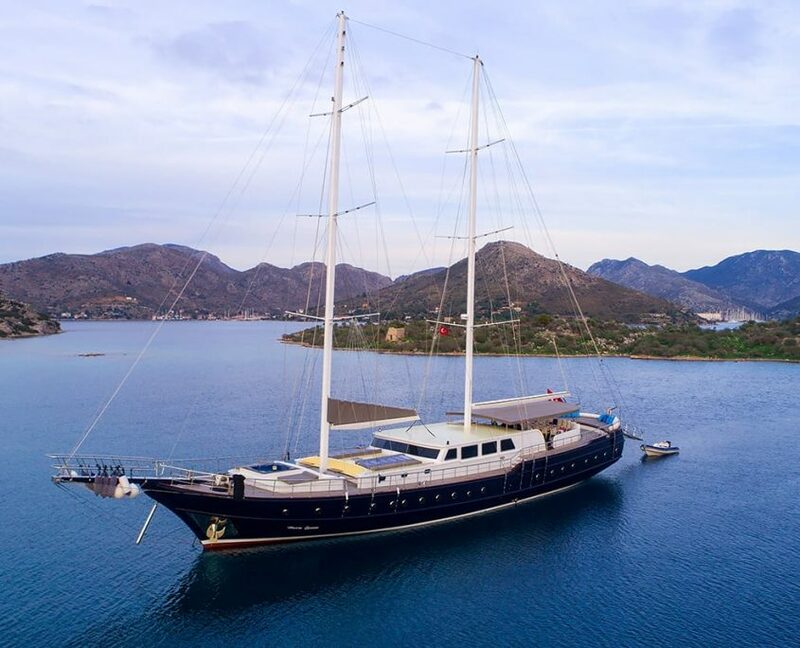 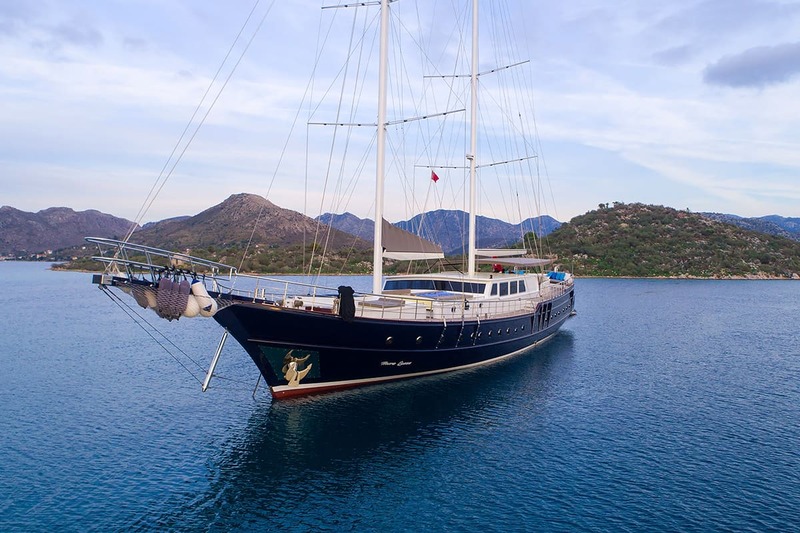 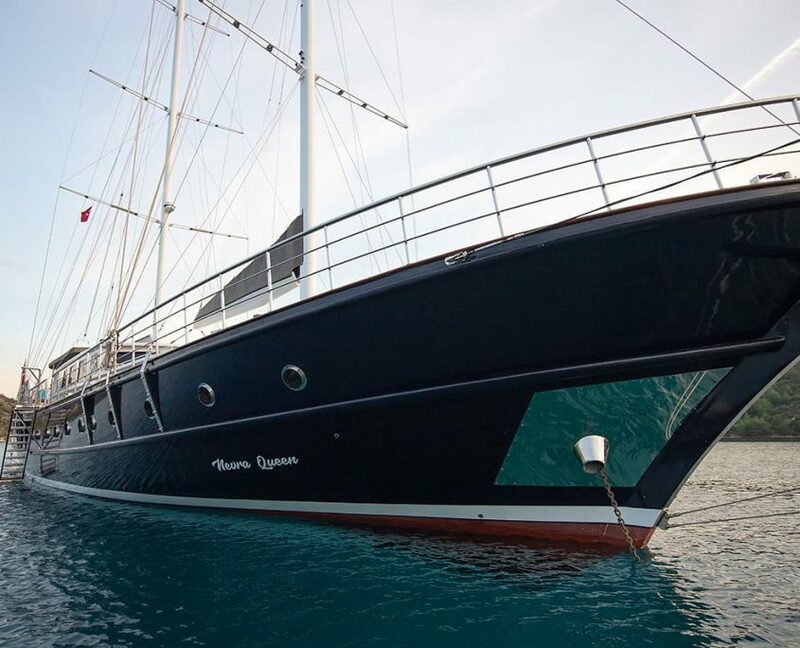 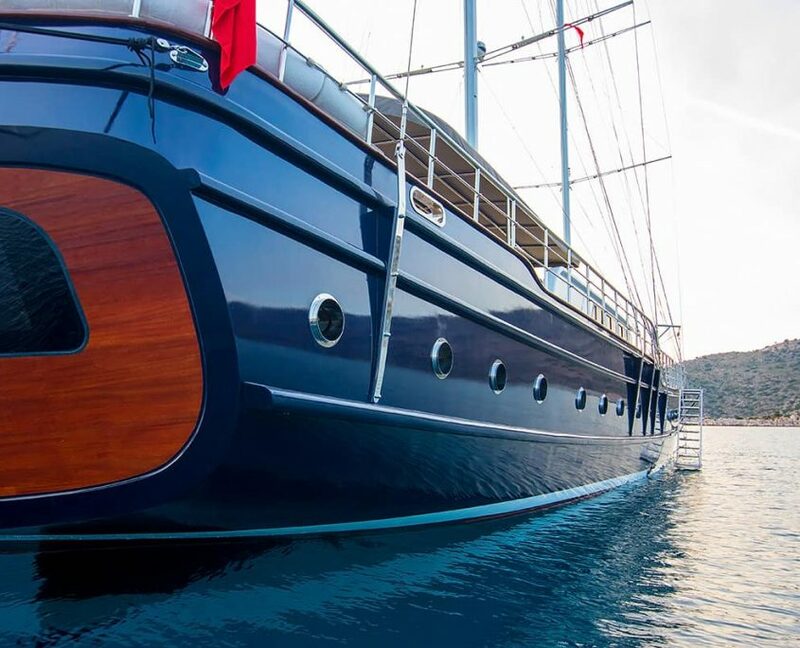 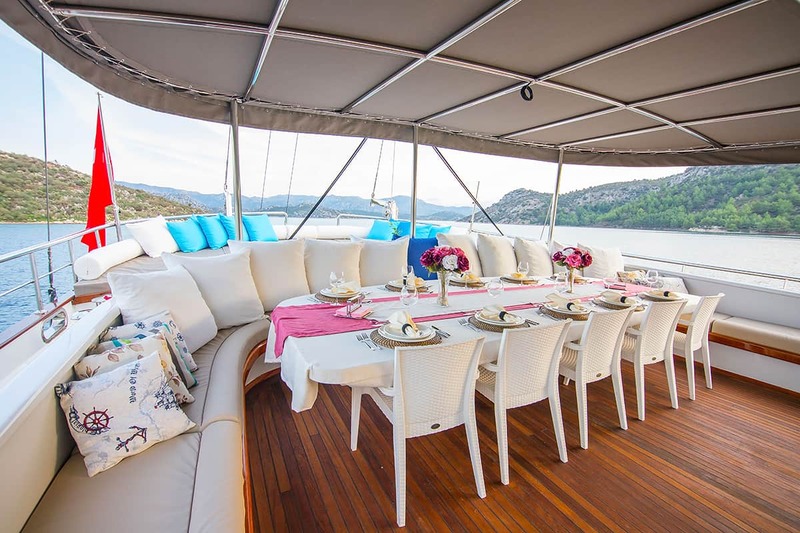 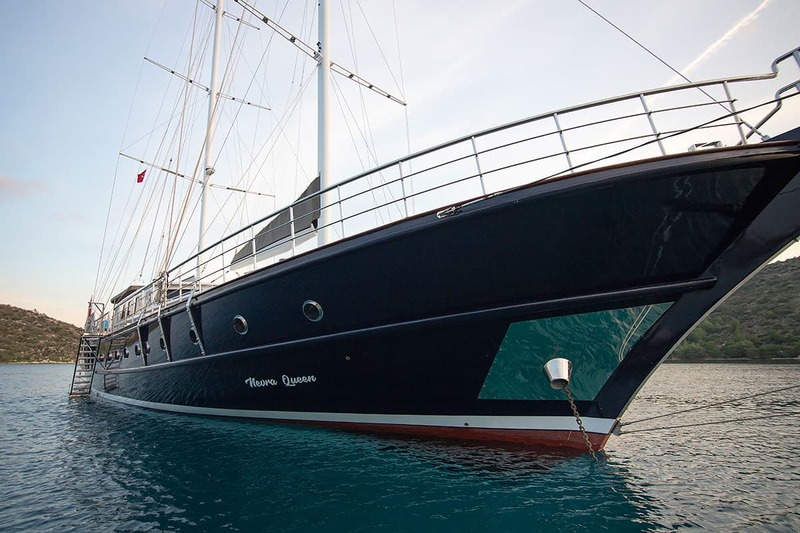 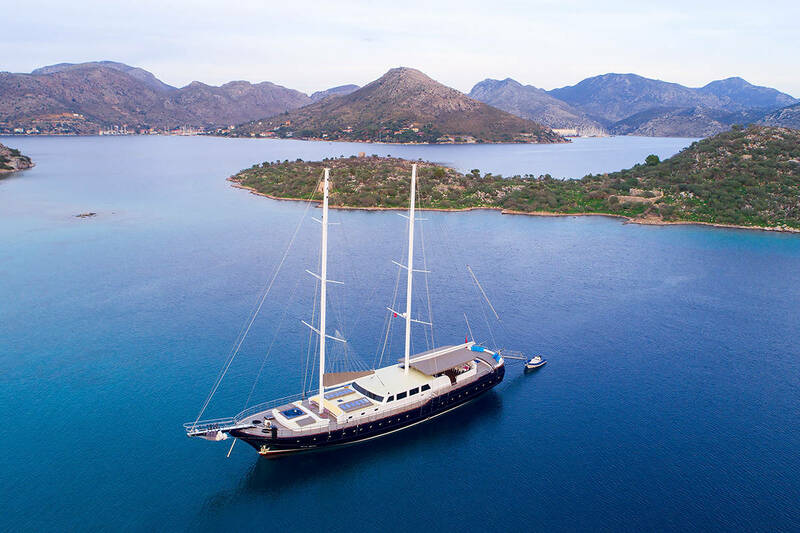 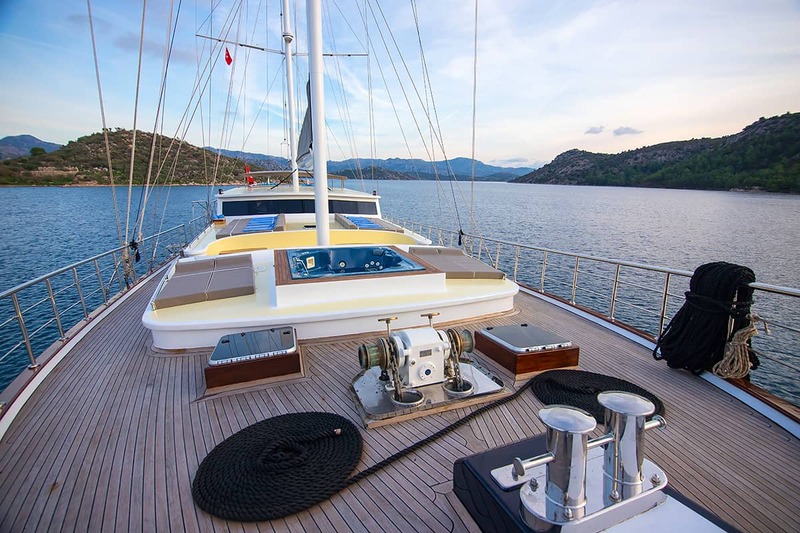 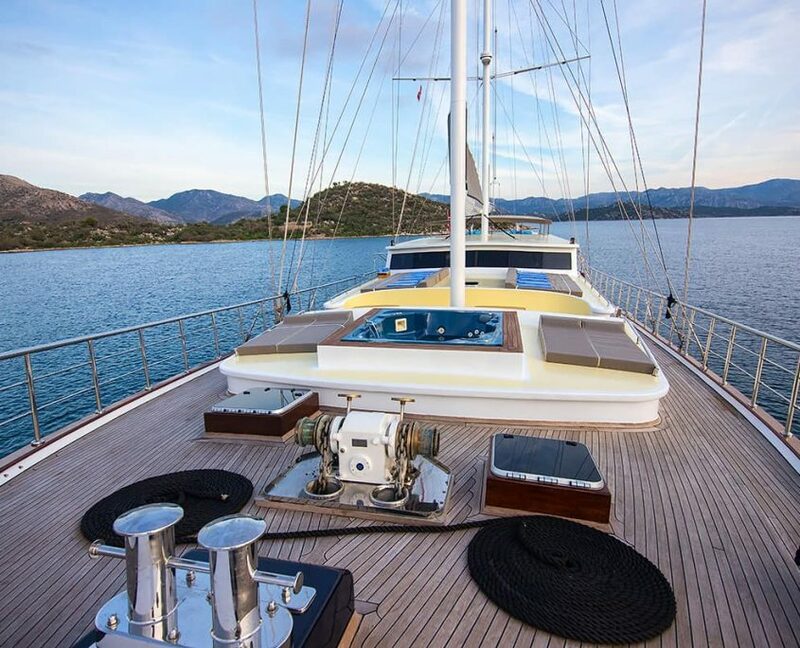 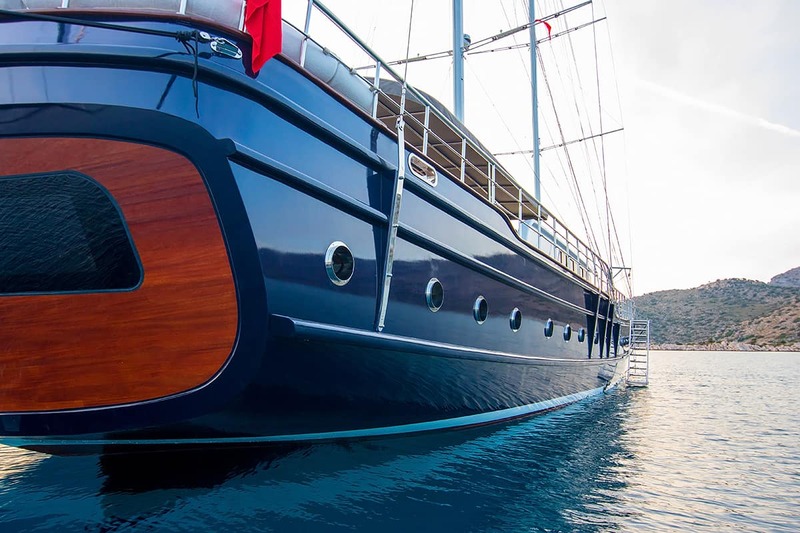 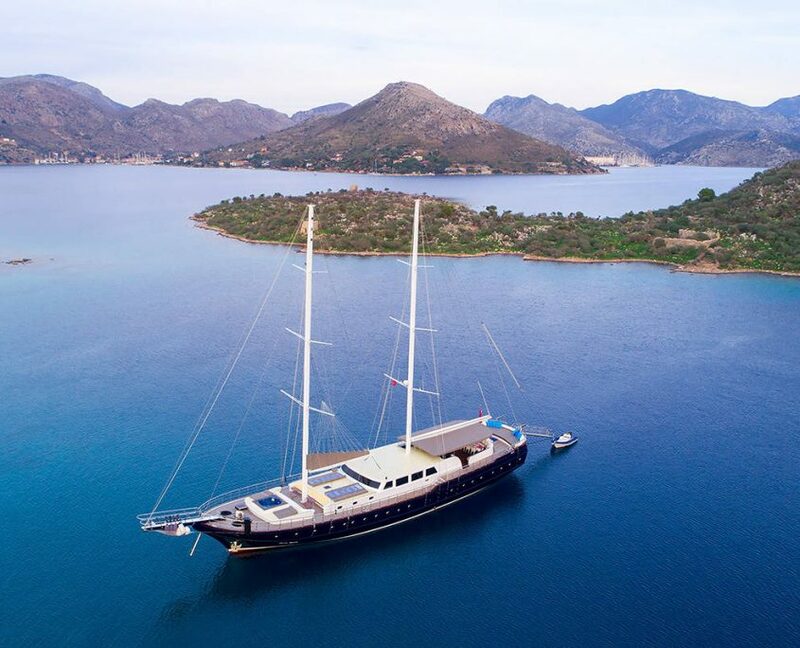 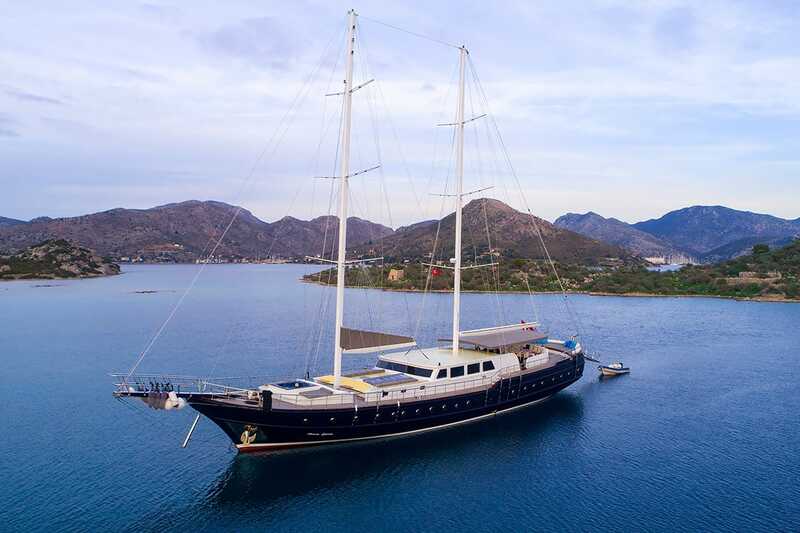 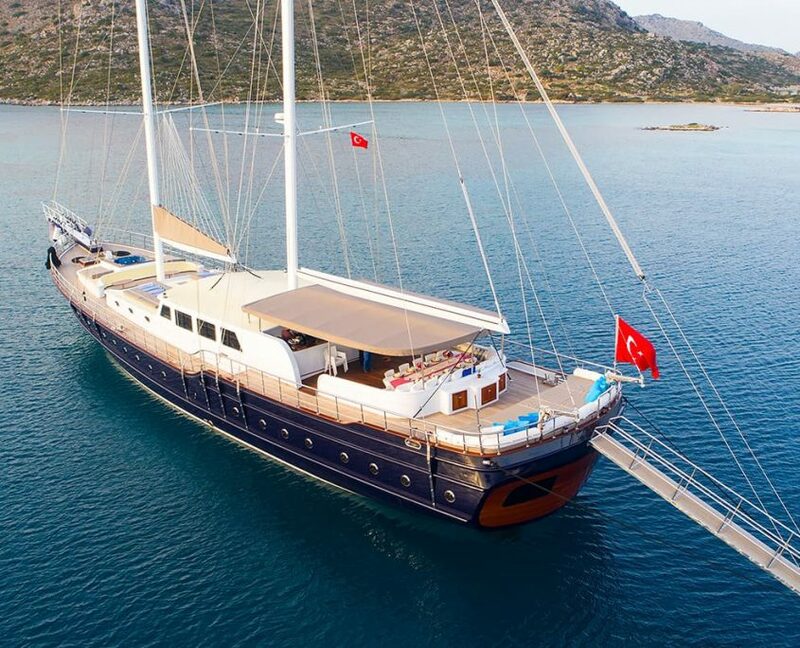 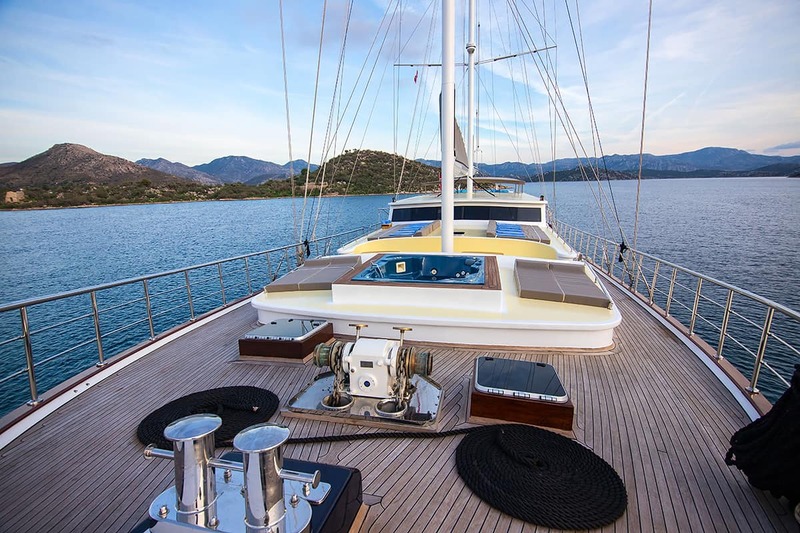 Gulet Nevra Queen is a newly built gulet yacht for season 2019. 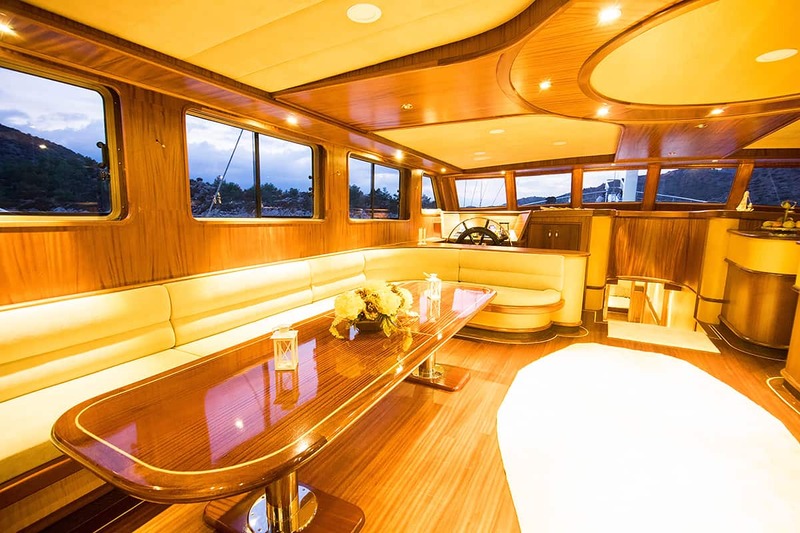 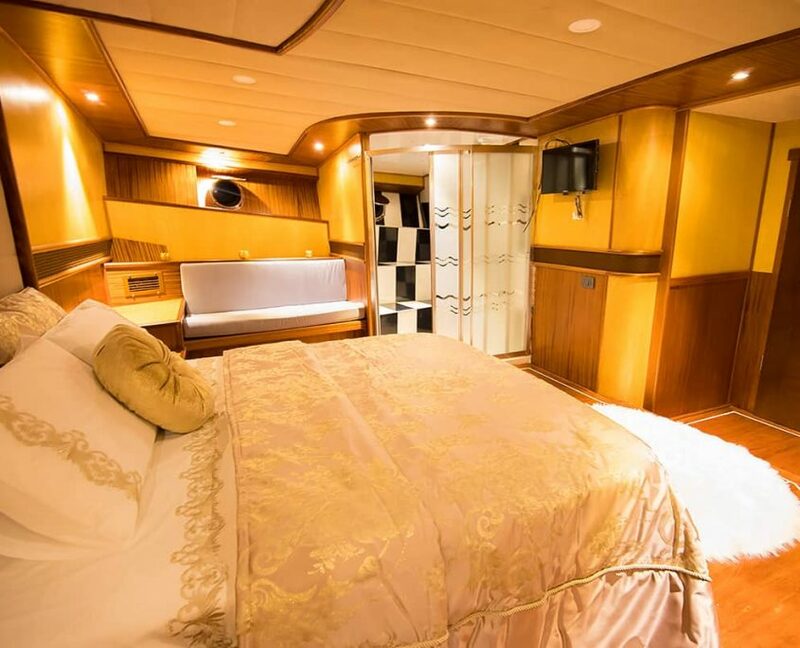 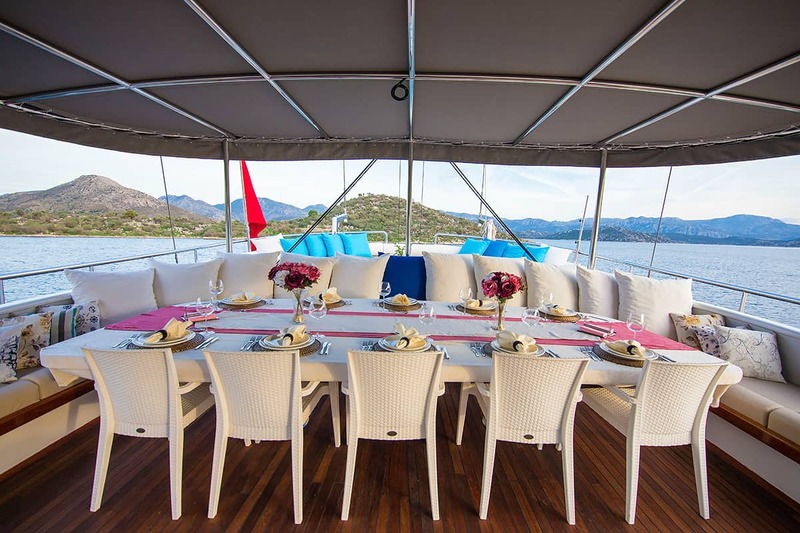 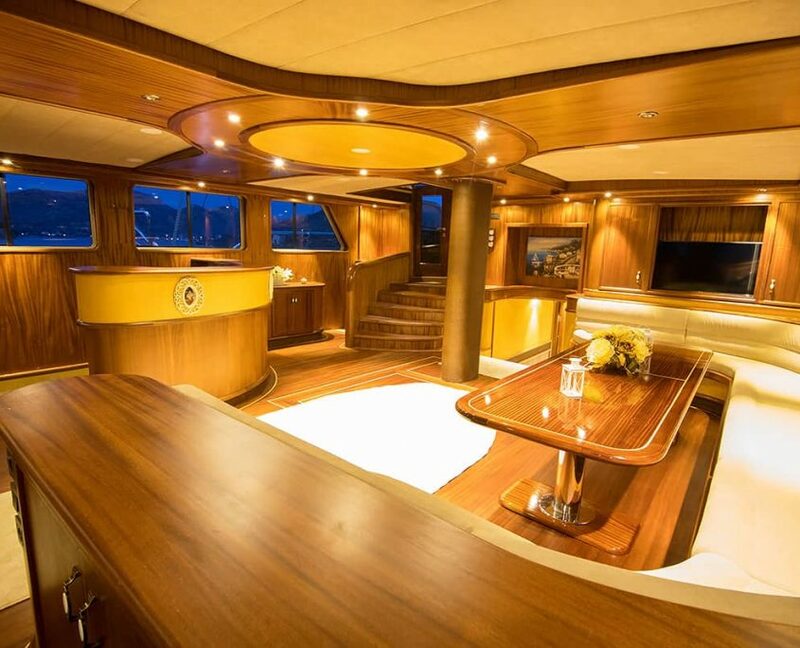 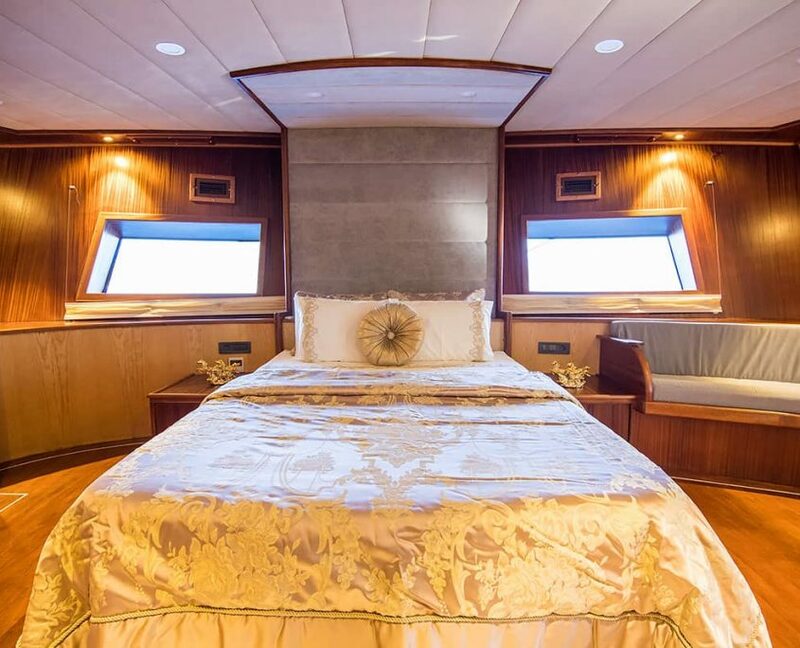 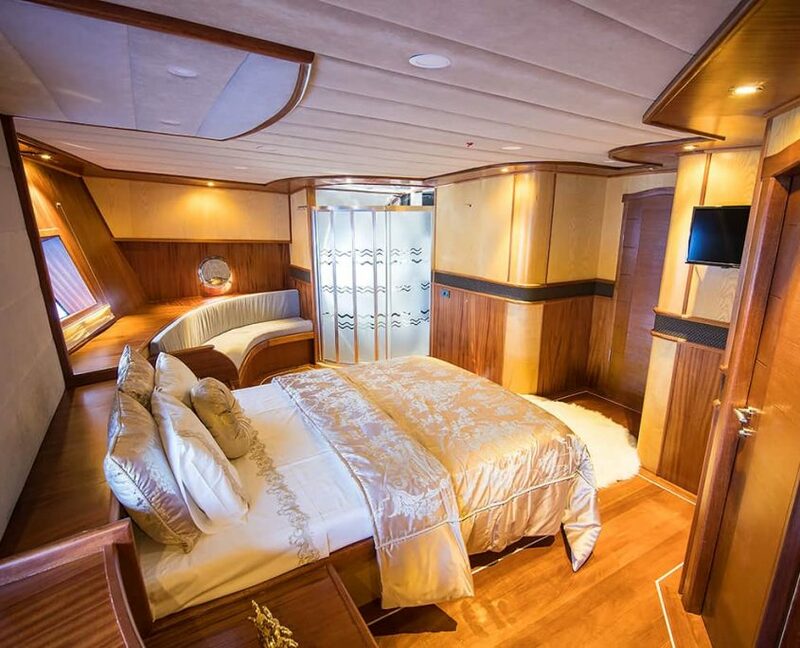 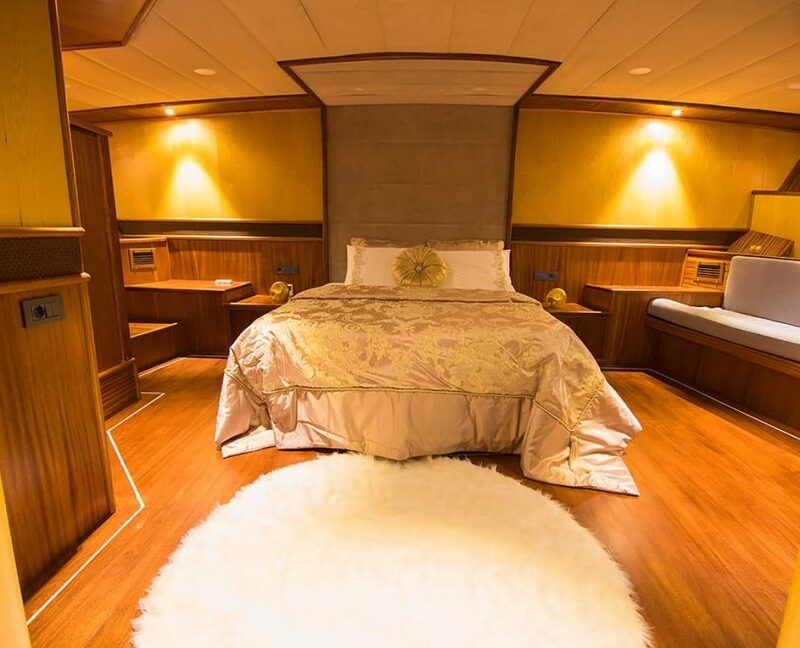 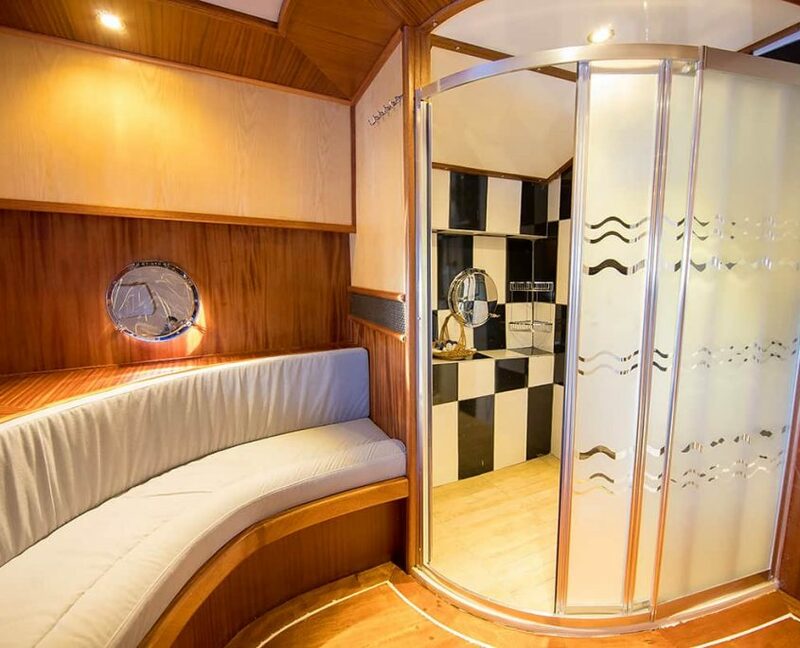 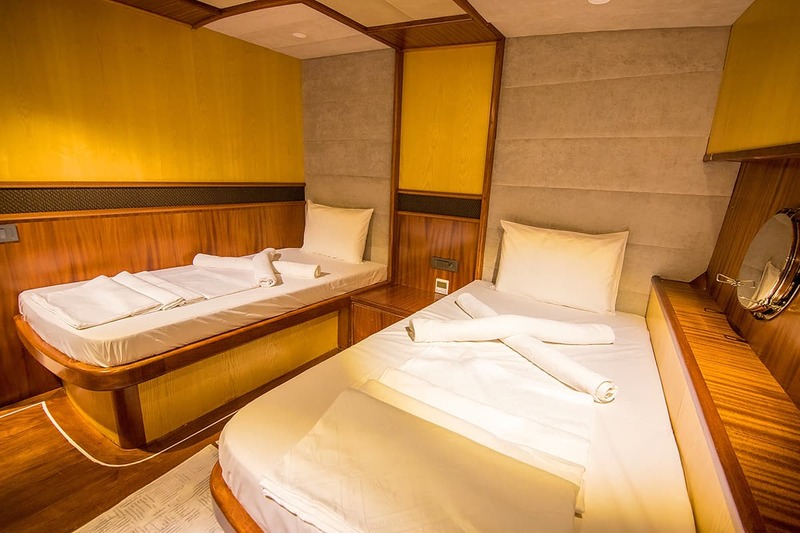 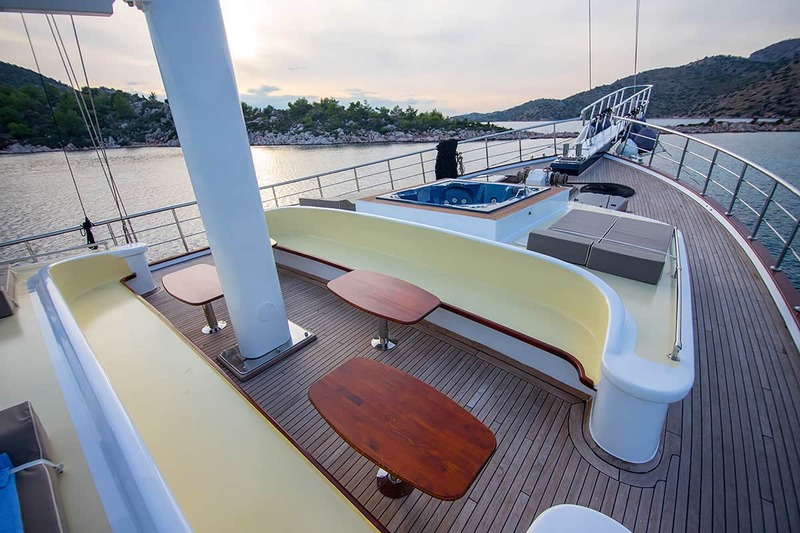 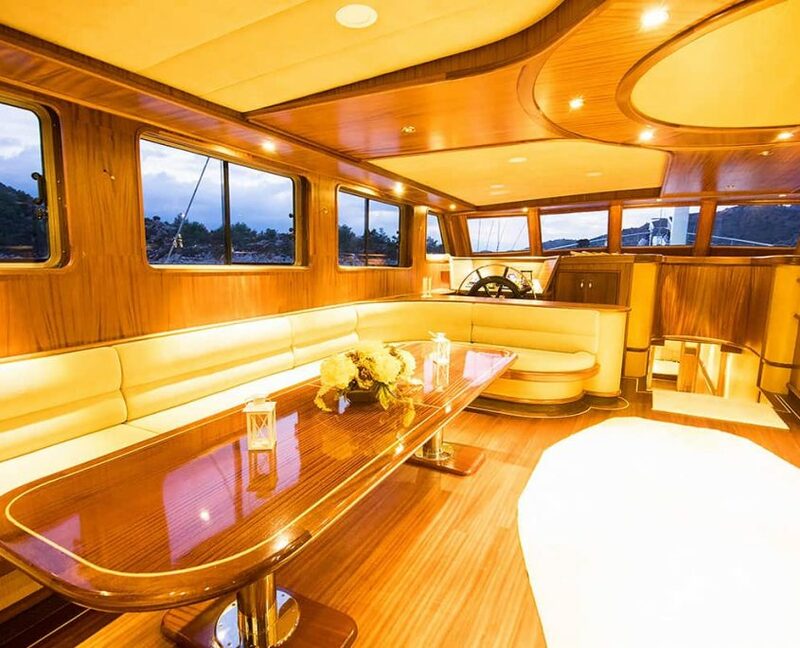 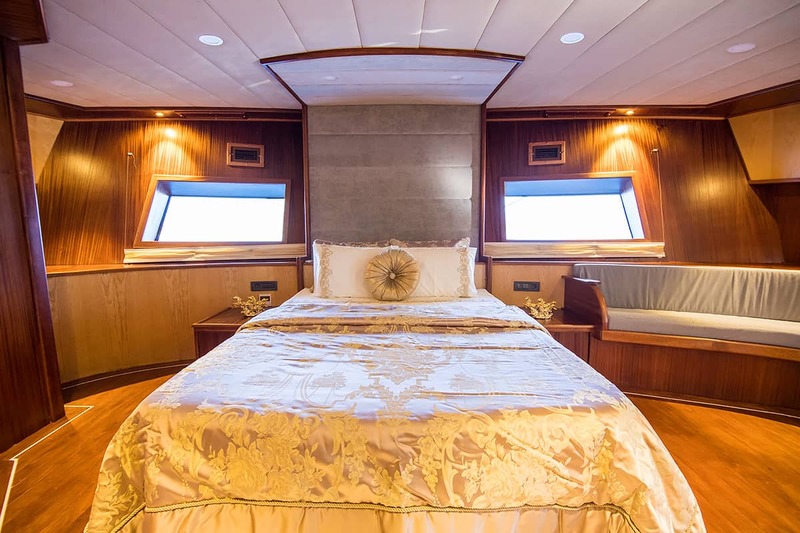 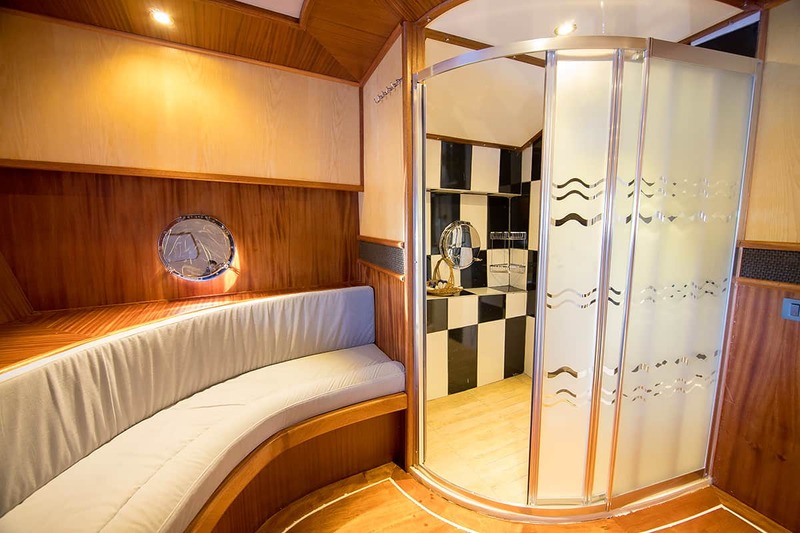 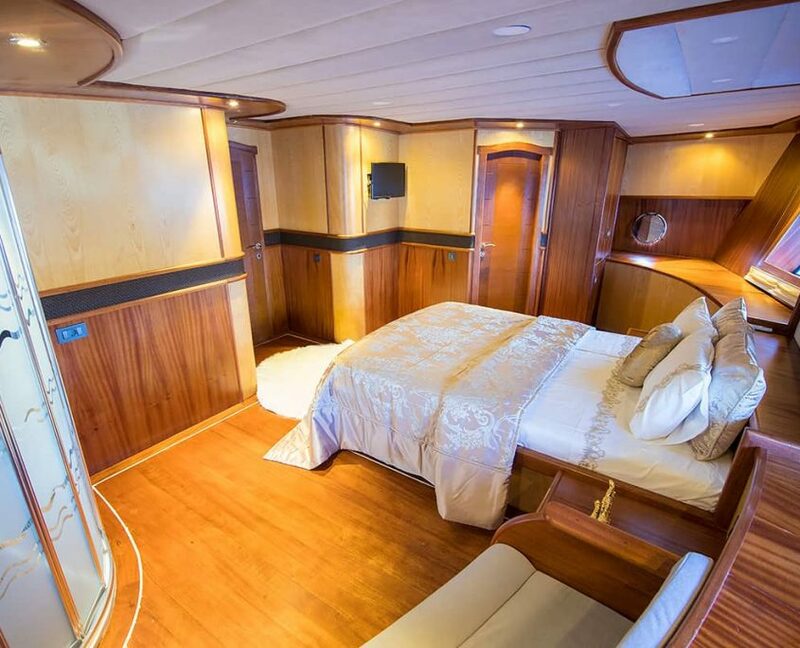 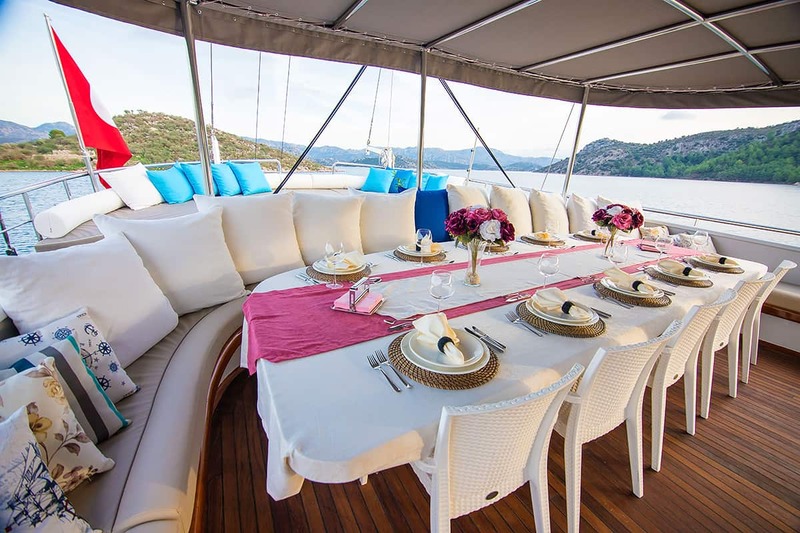 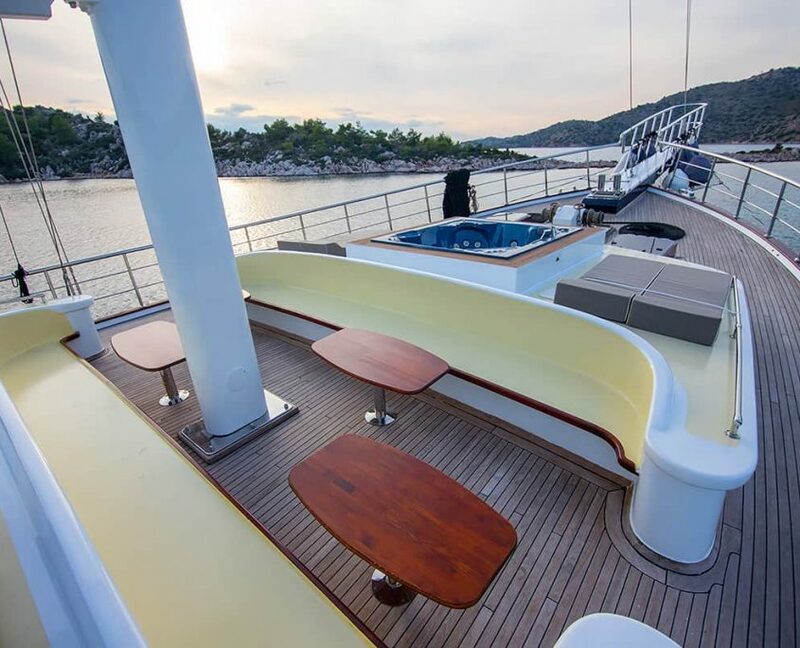 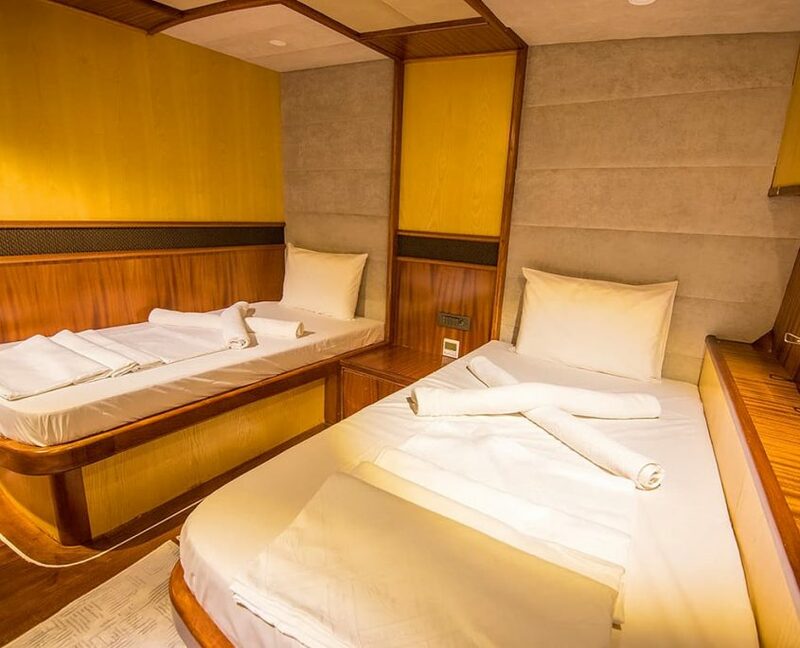 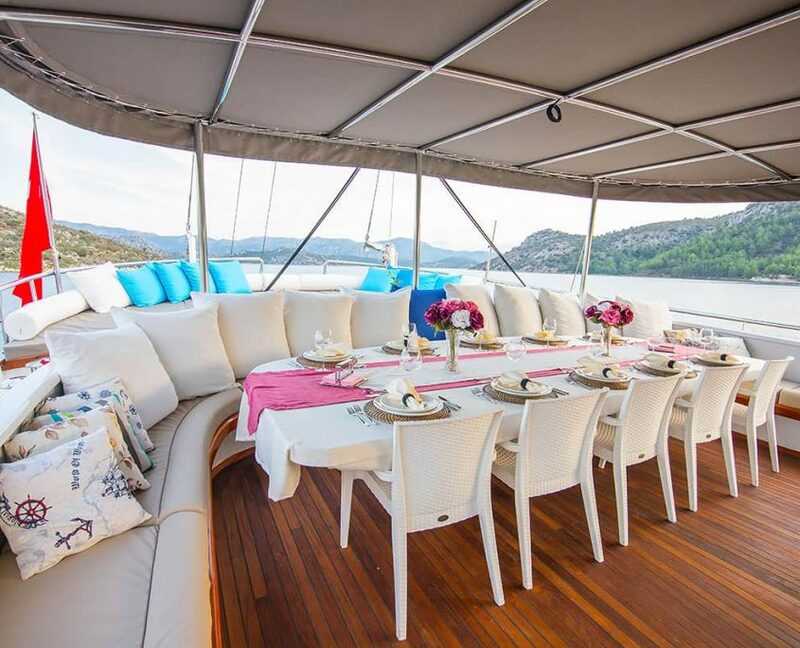 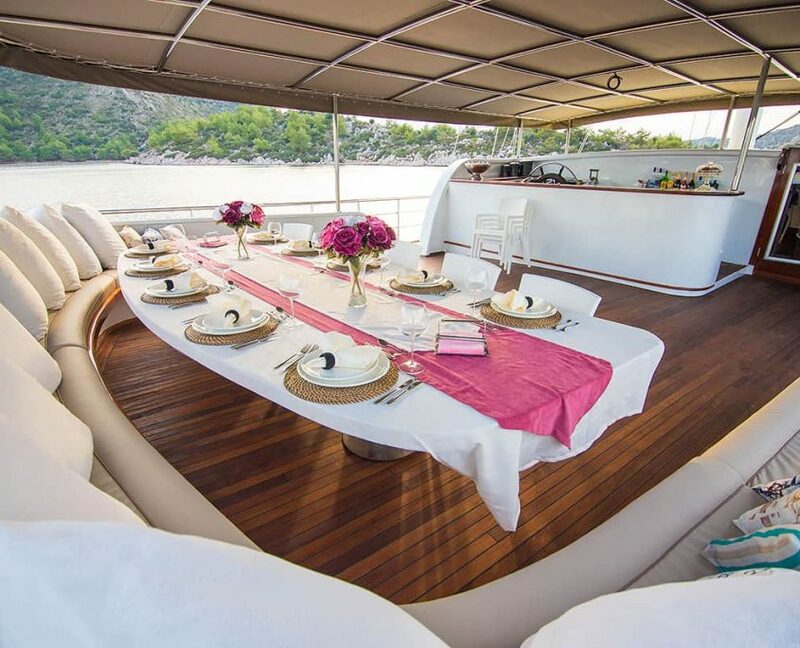 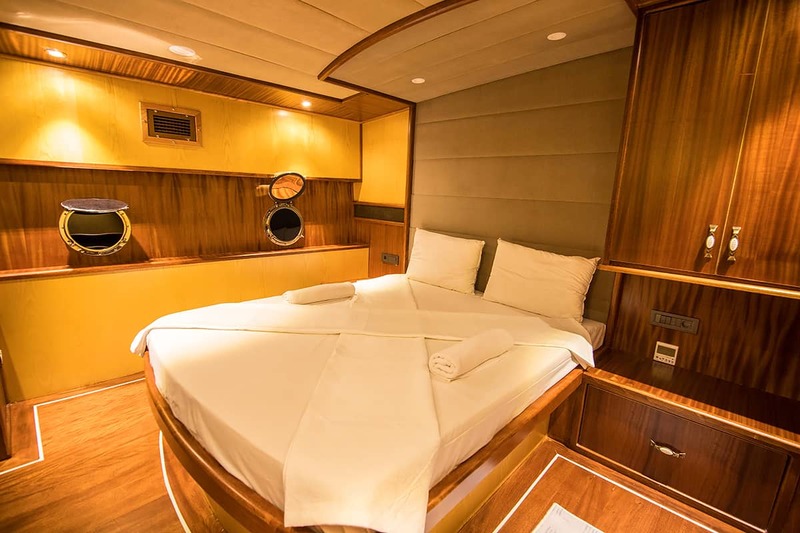 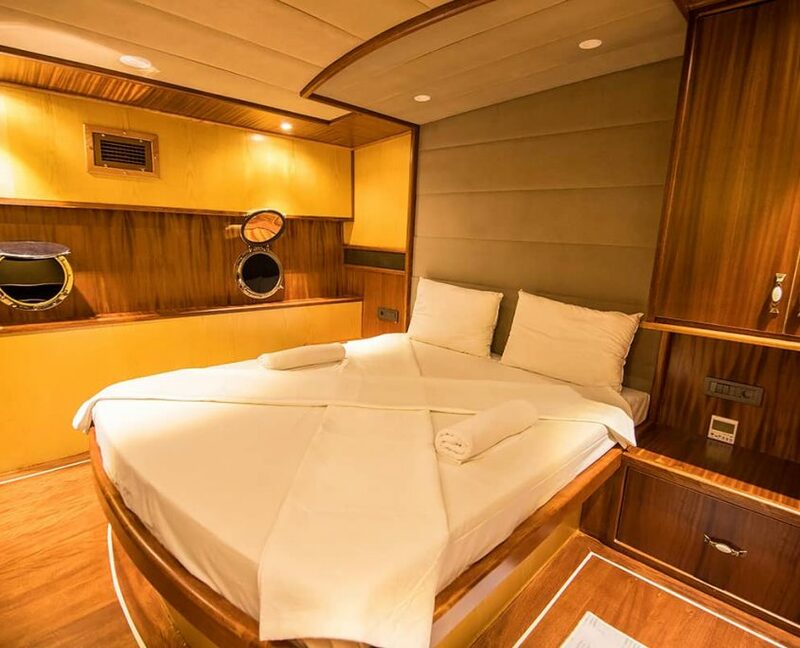 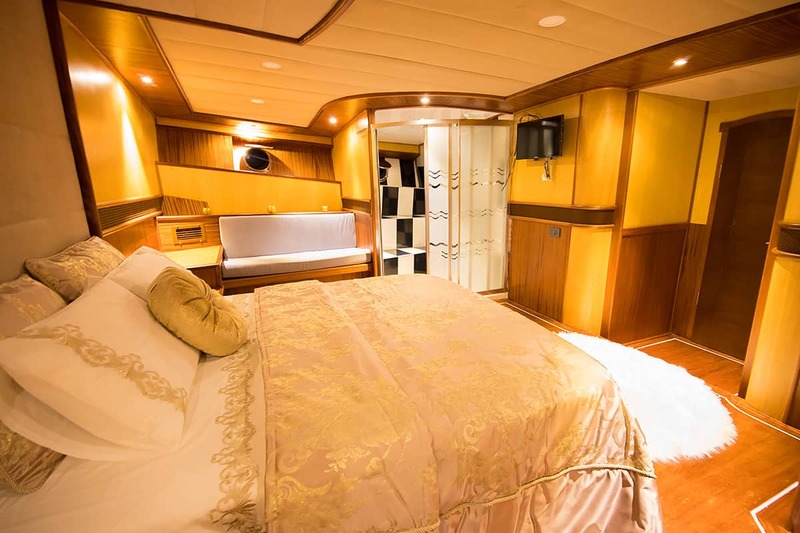 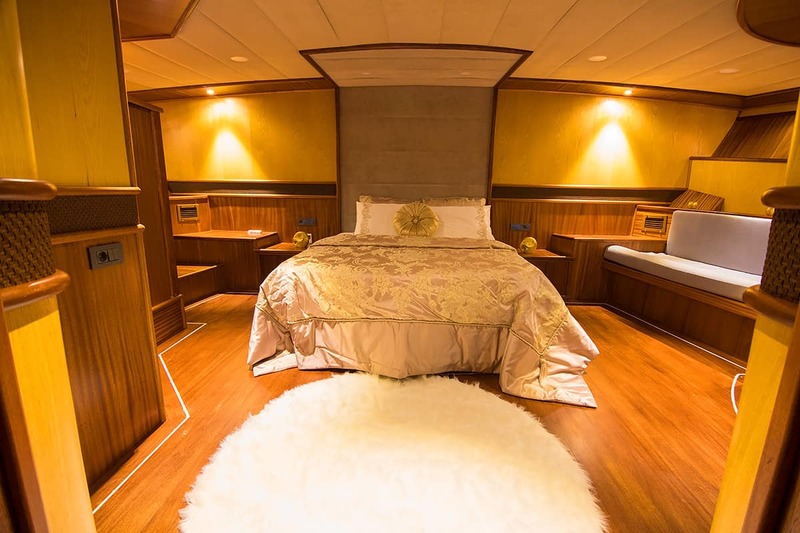 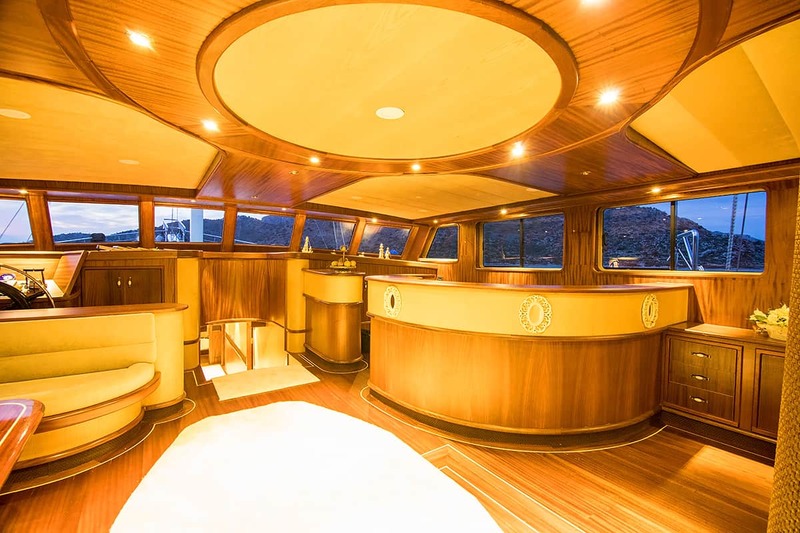 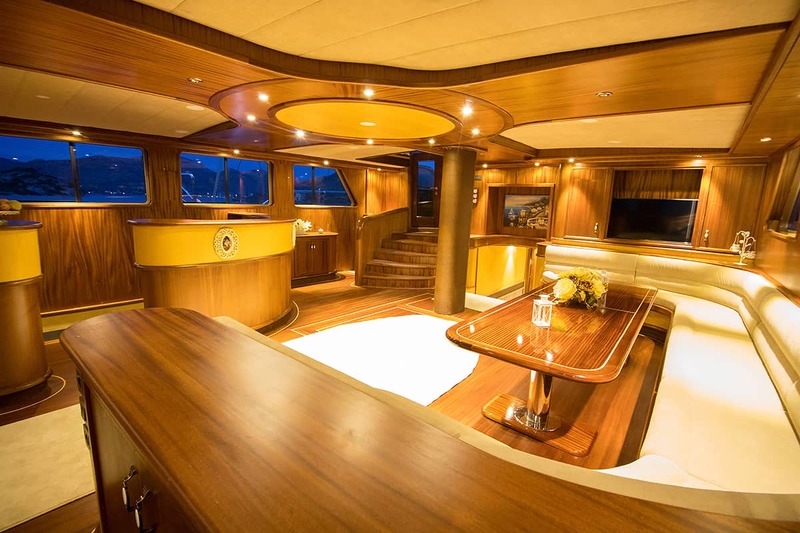 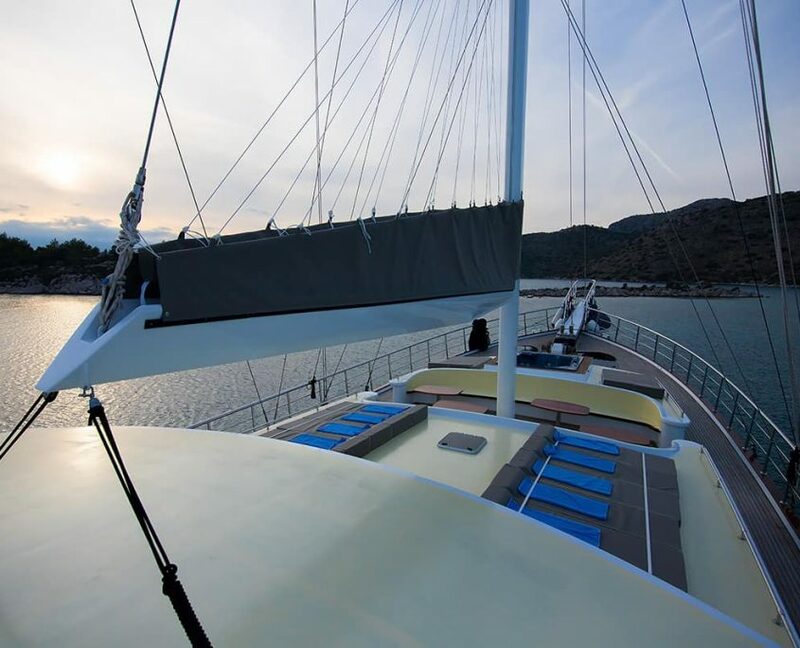 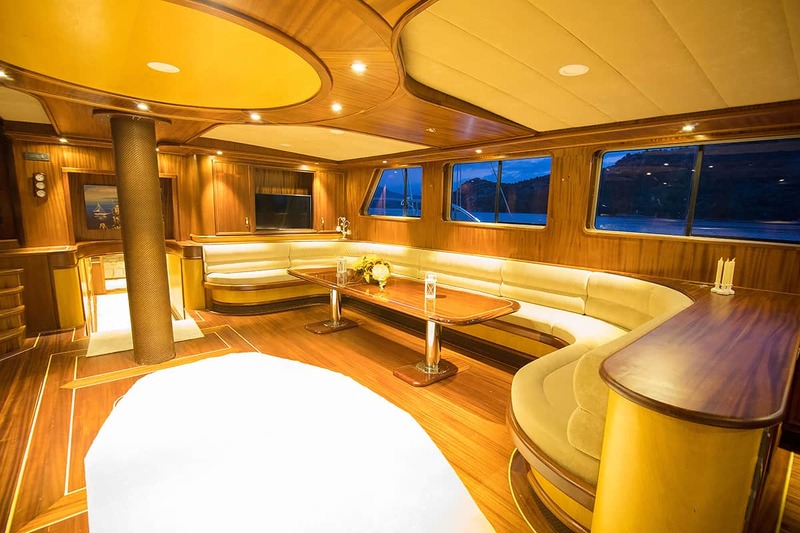 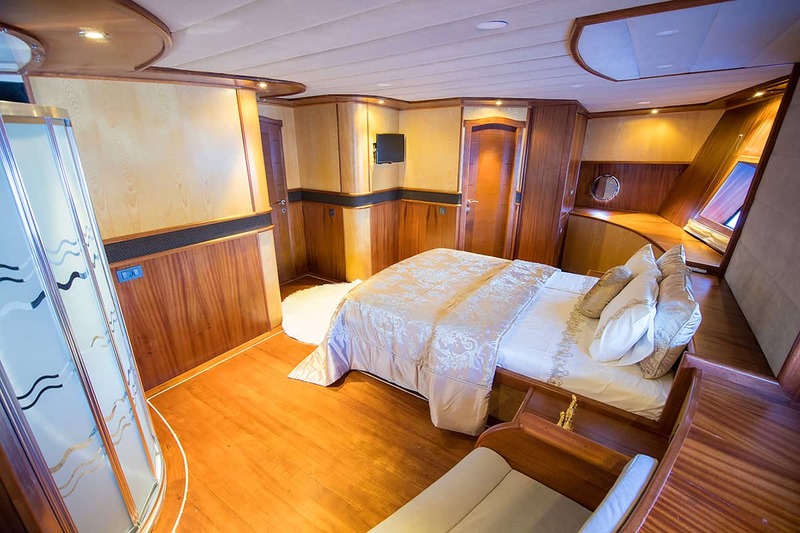 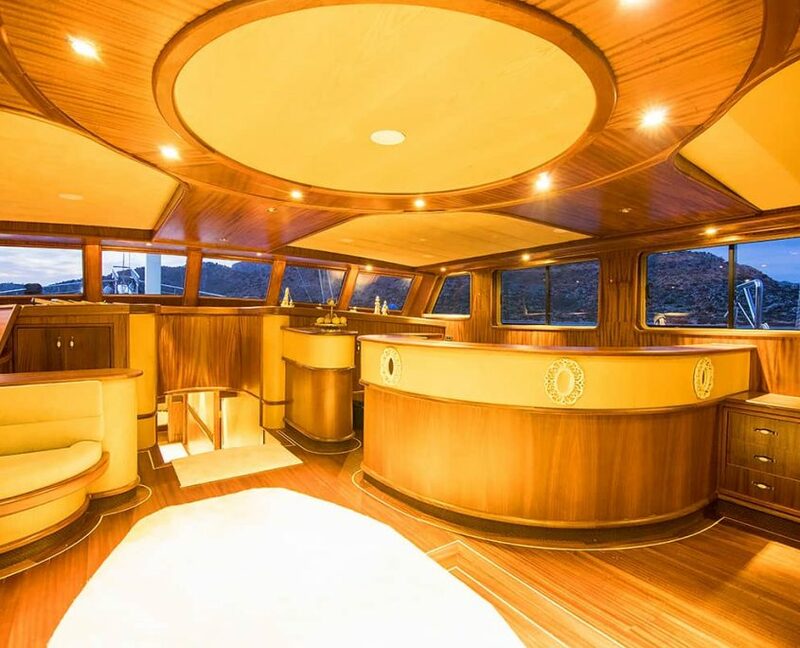 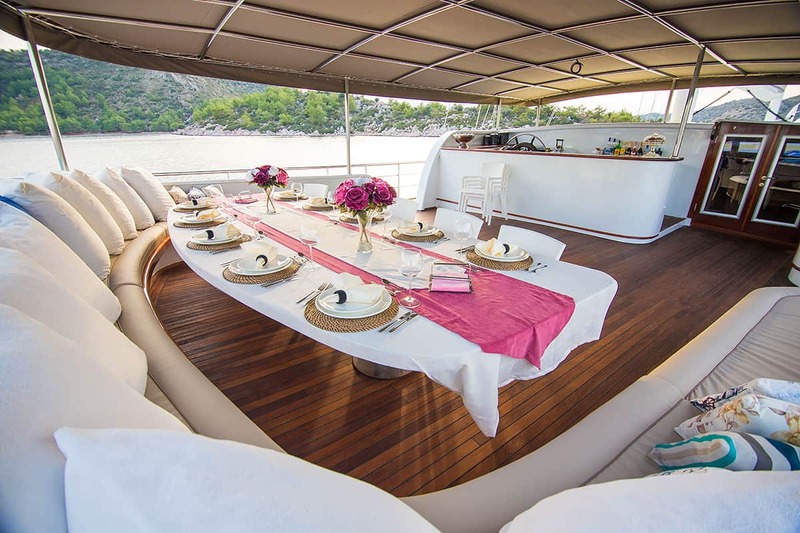 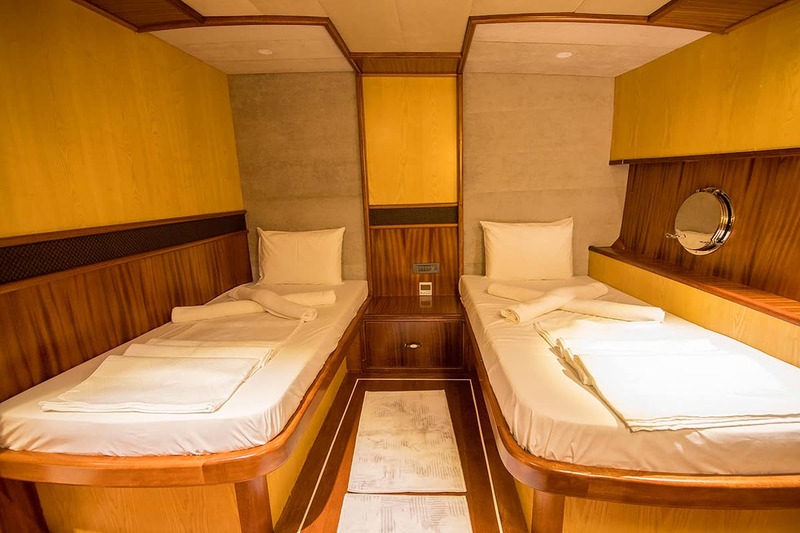 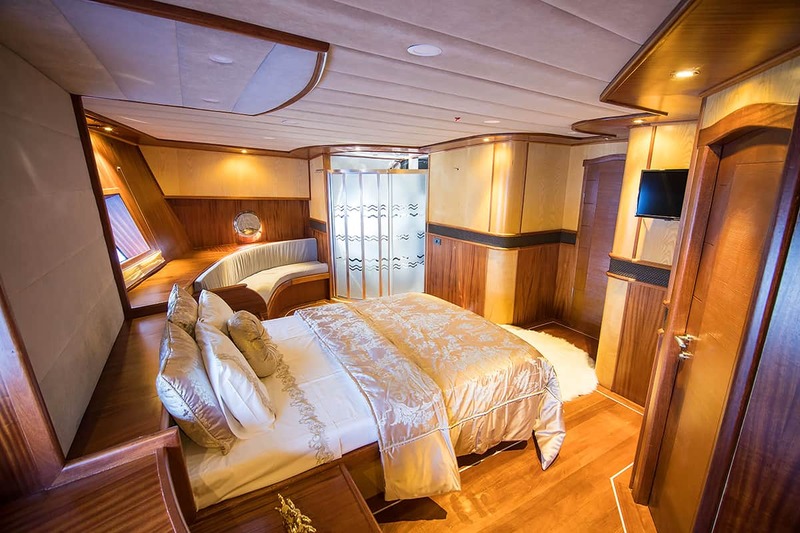 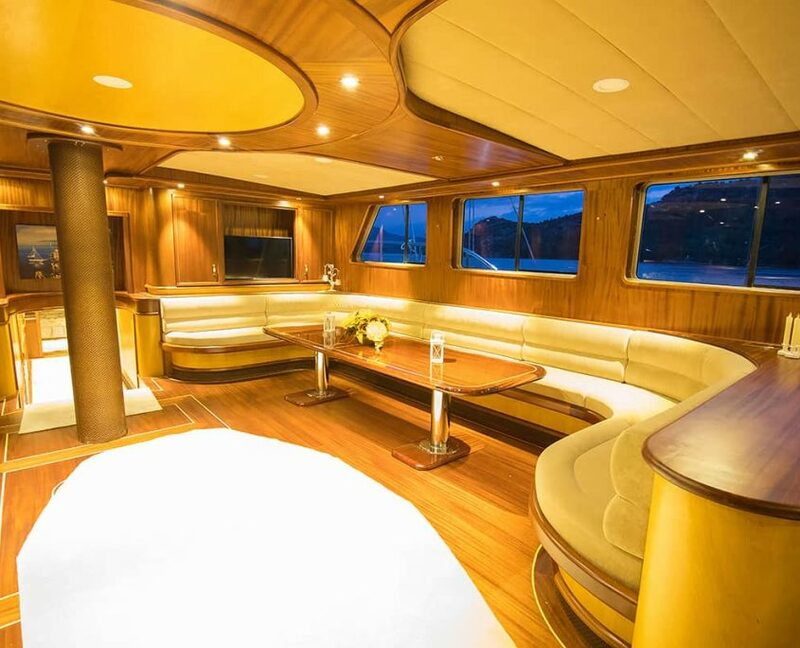 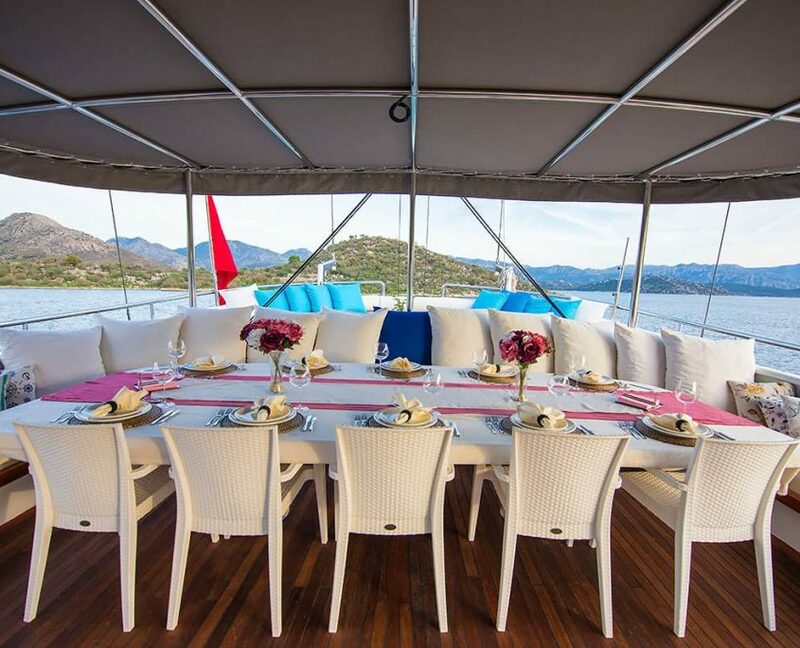 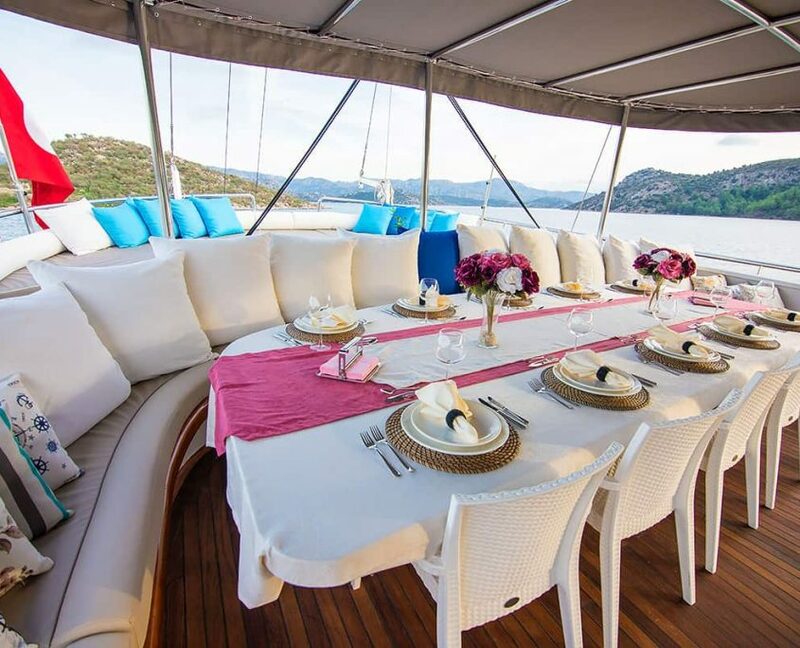 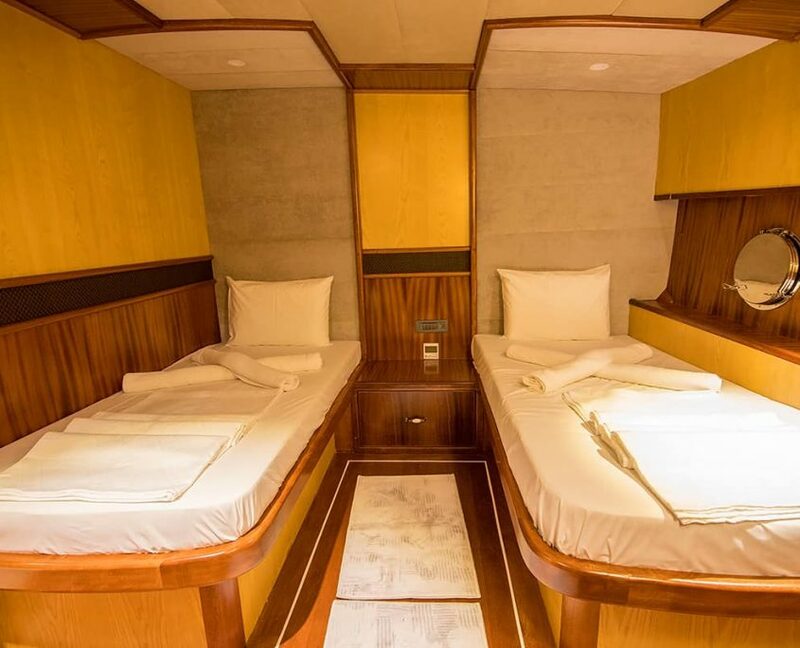 Nevra Queen can accommodate up to 20 guests in 10 cabins (2 Master, 6 Double and 2 Twin). 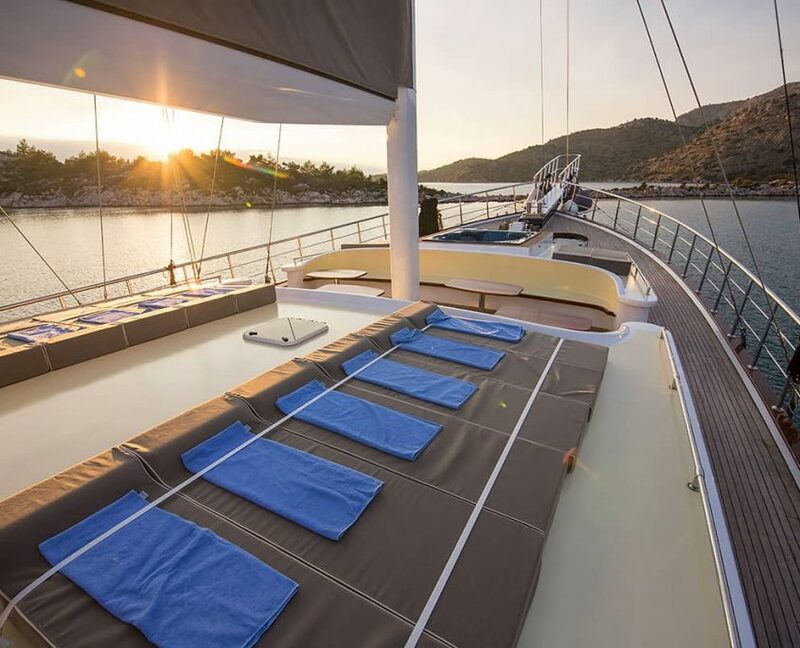 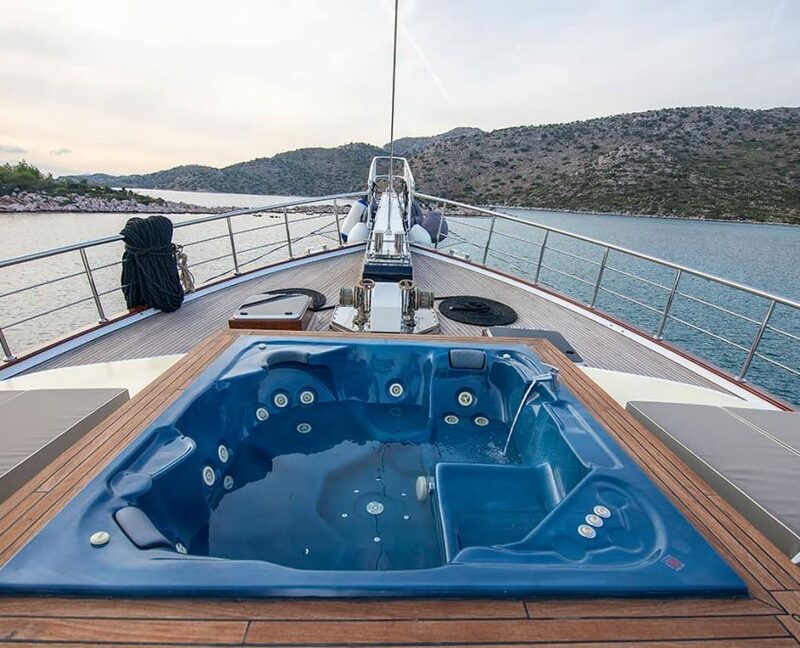 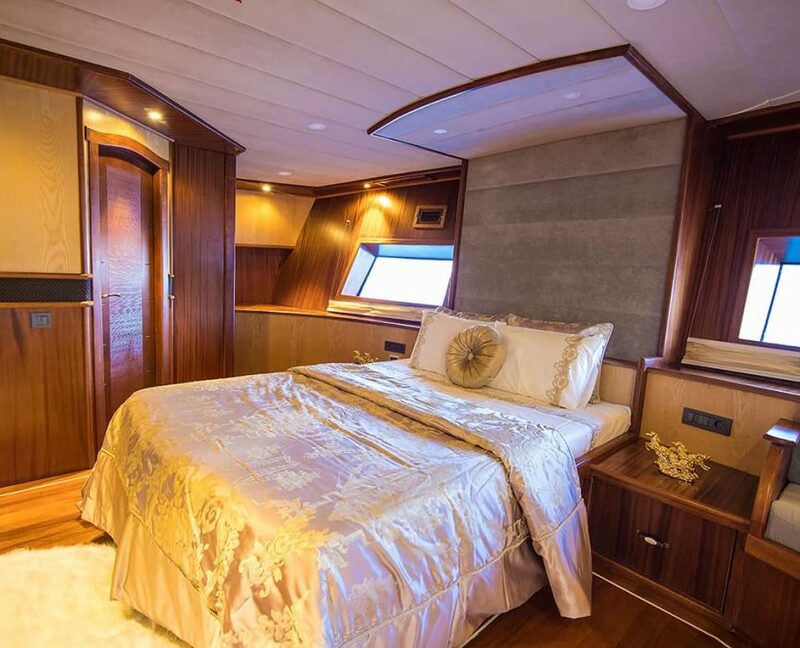 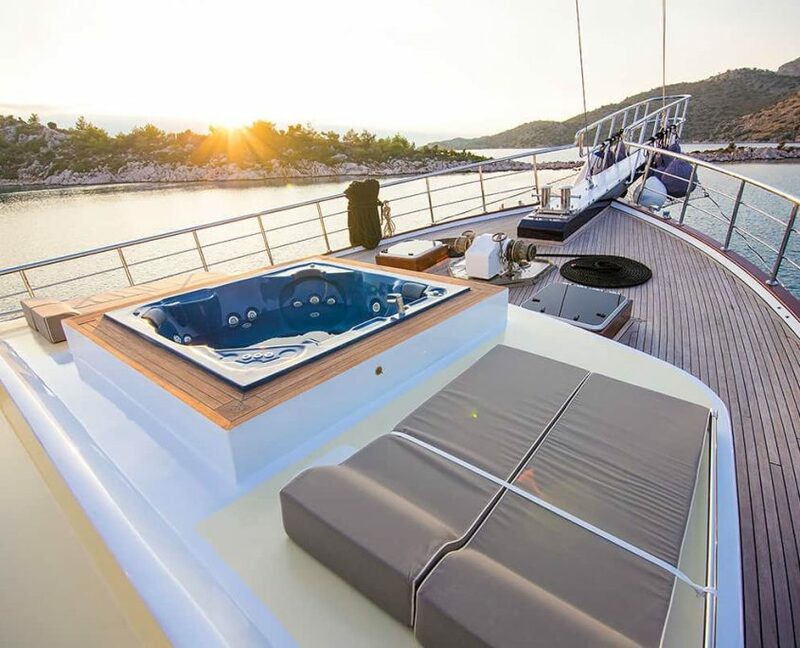 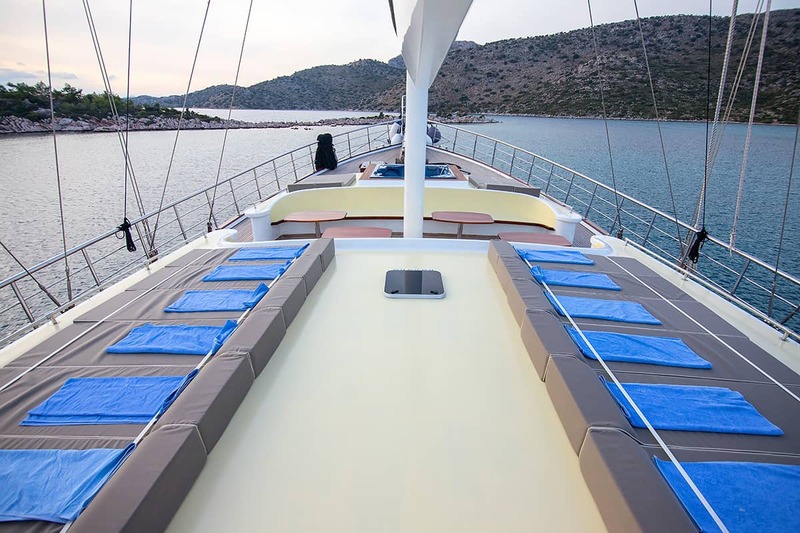 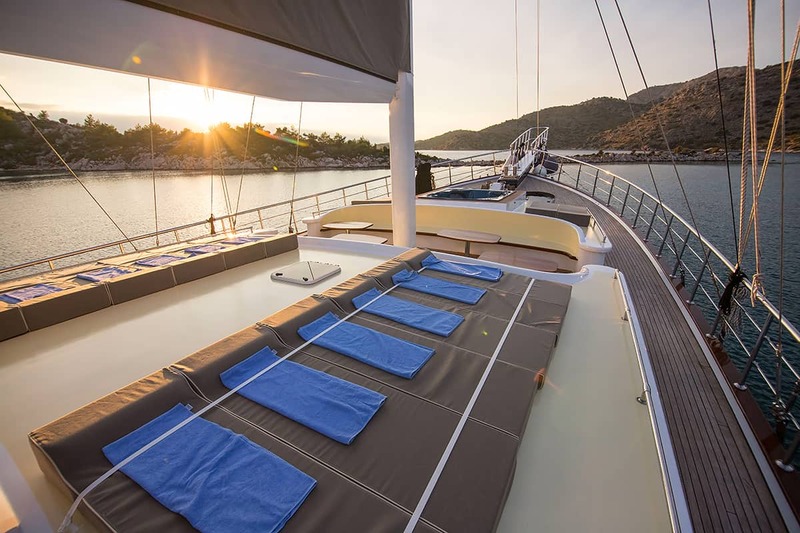 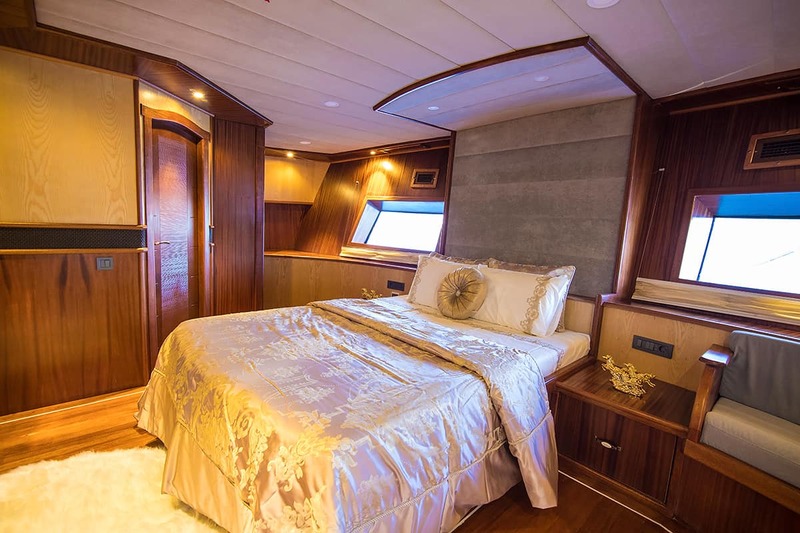 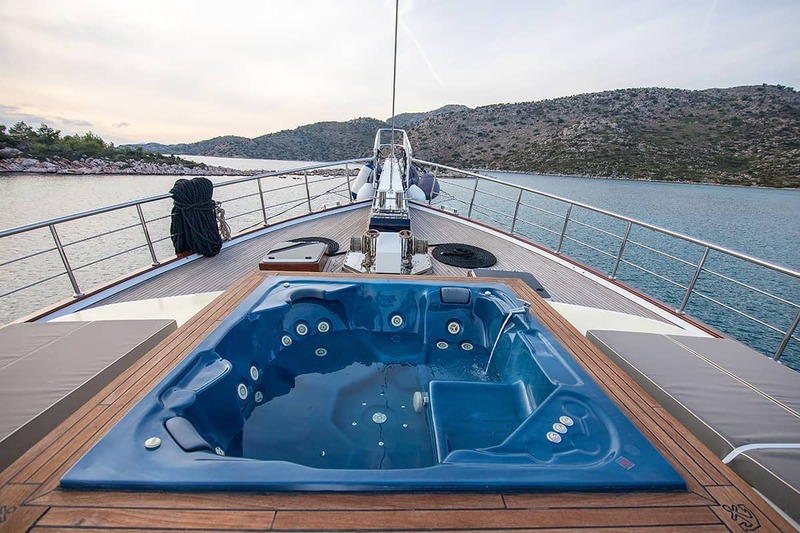 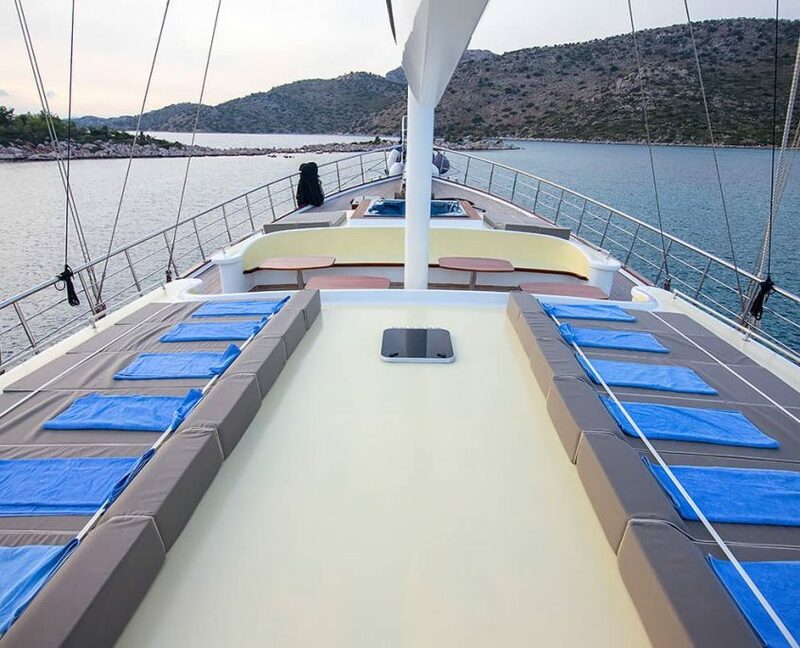 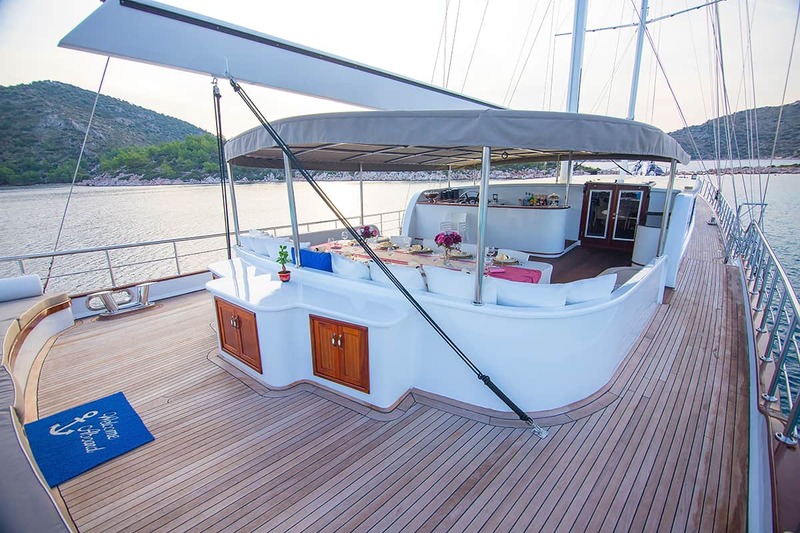 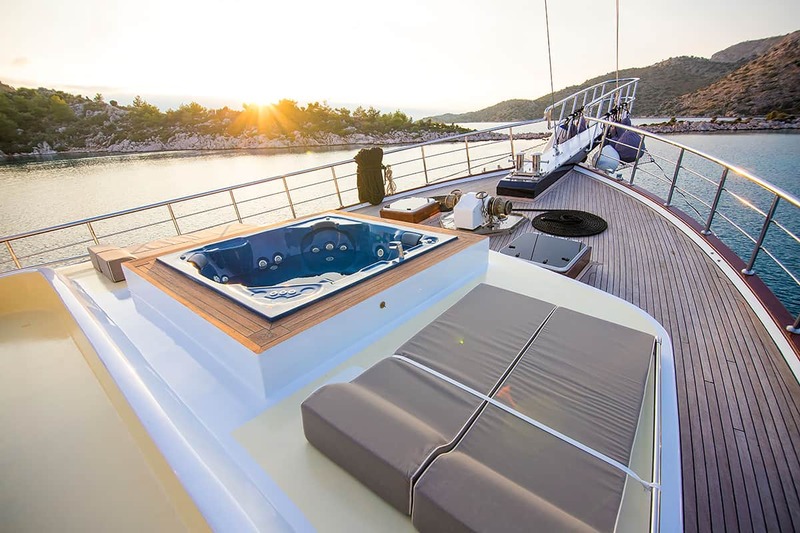 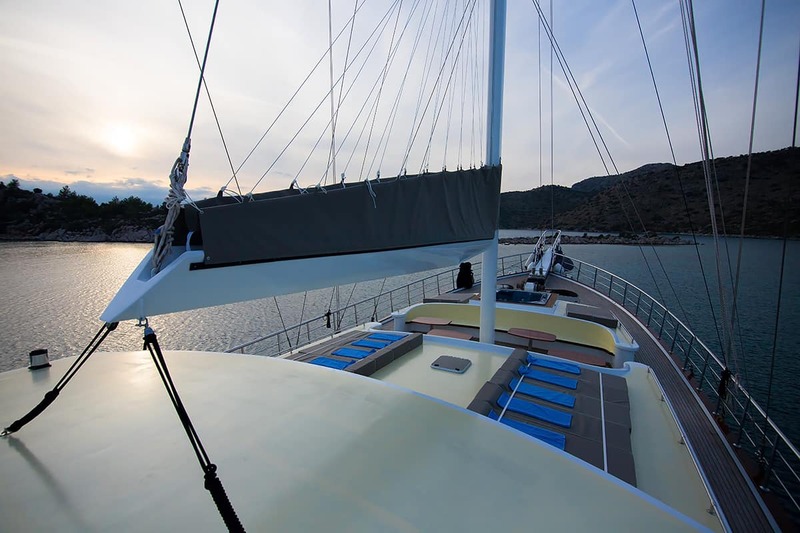 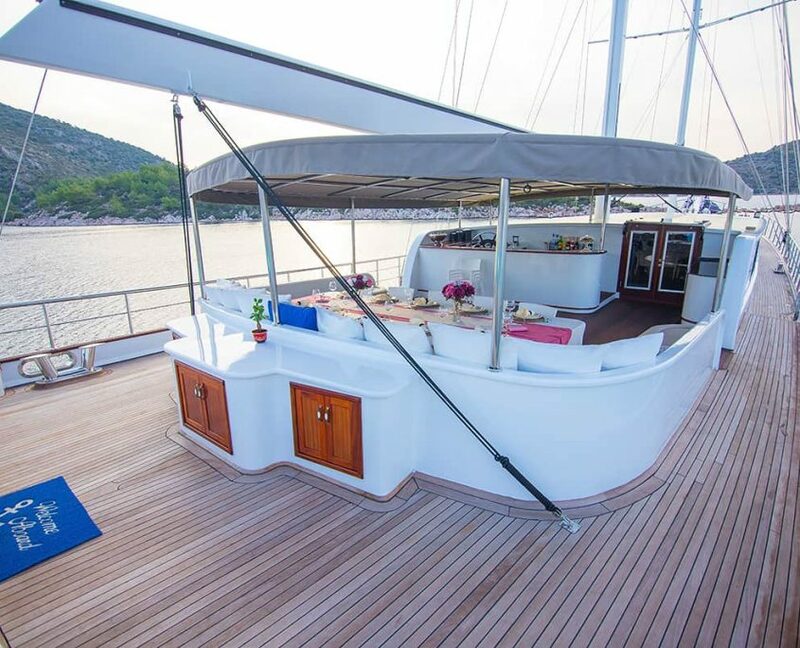 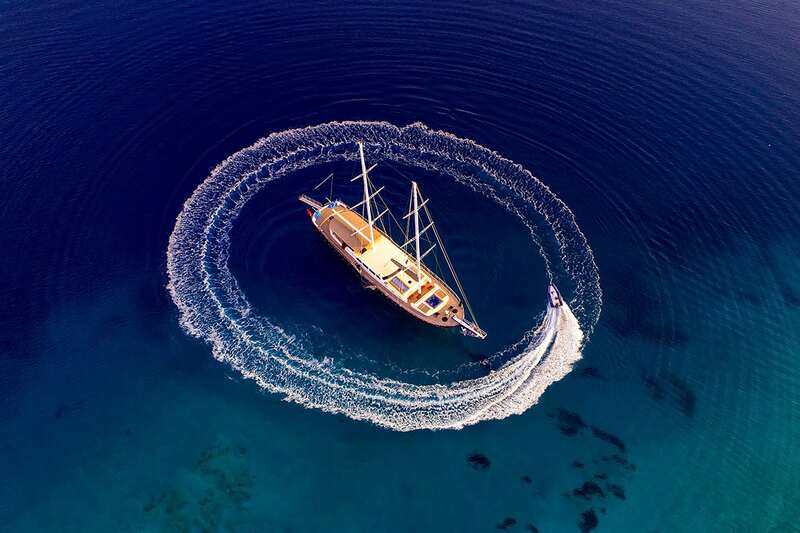 The main feature of the gulet is Jacuzzi on the sundeck. 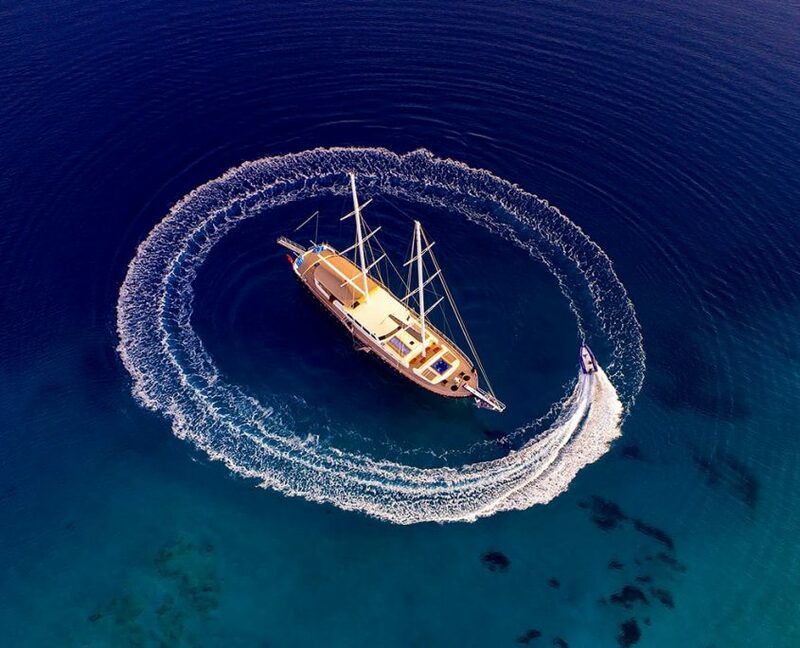 lots of water sports, great crew. 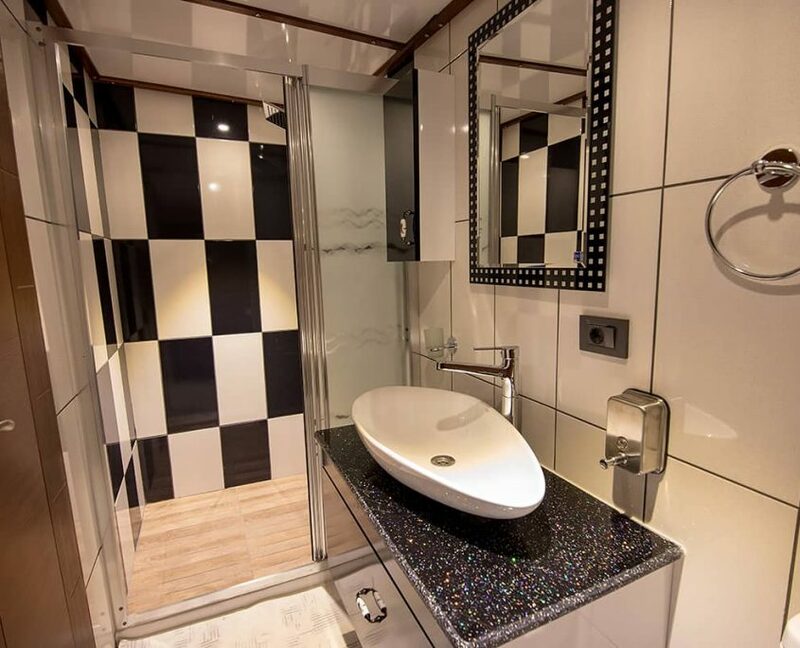 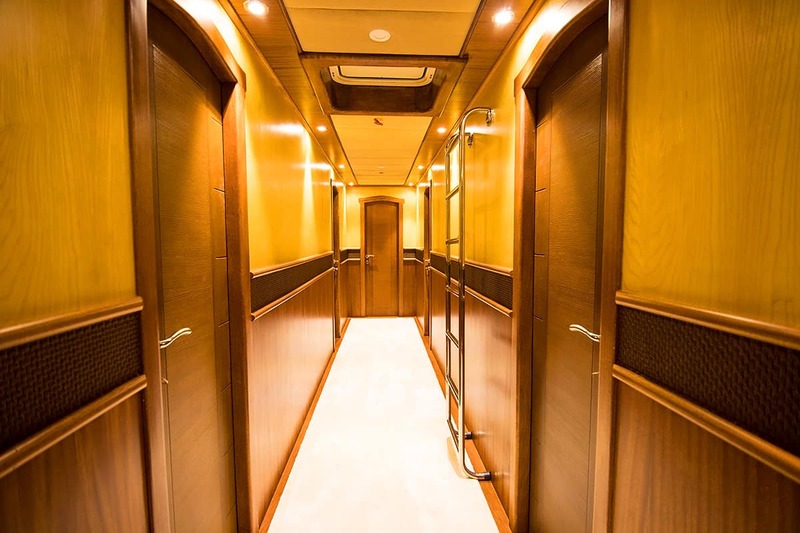 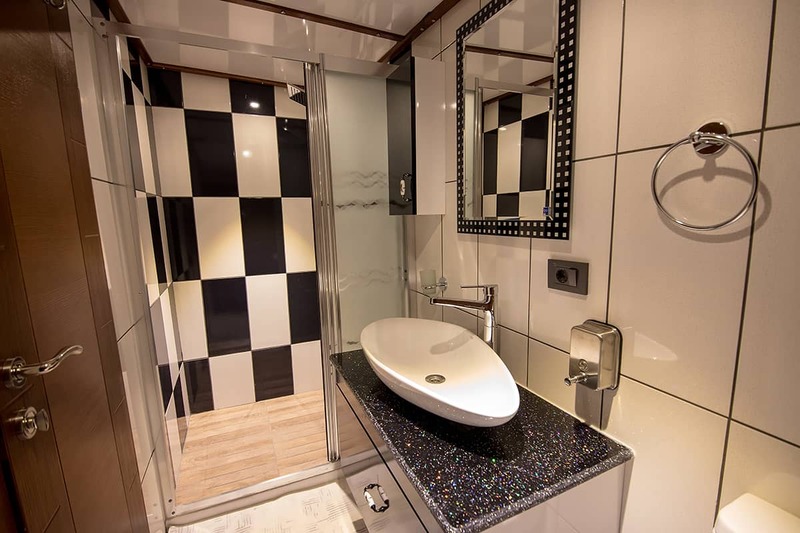 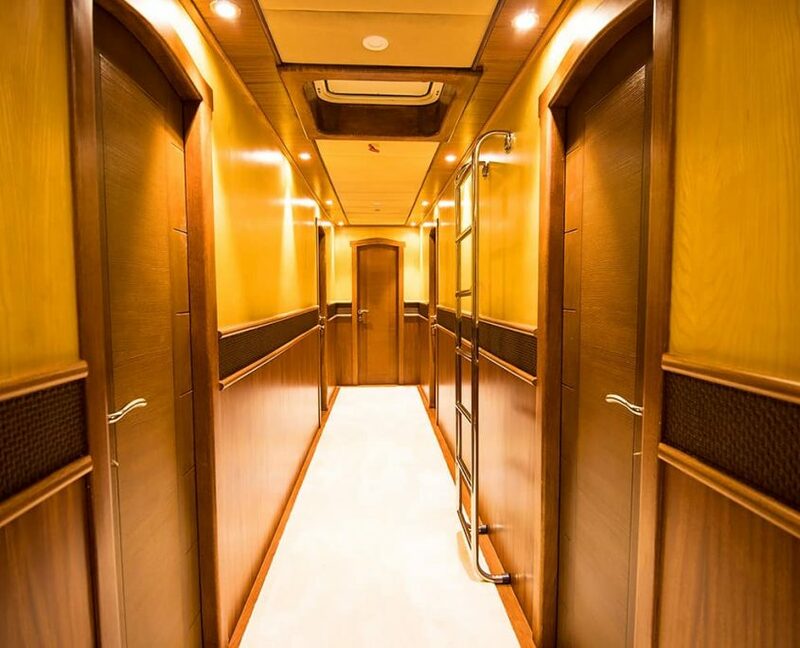 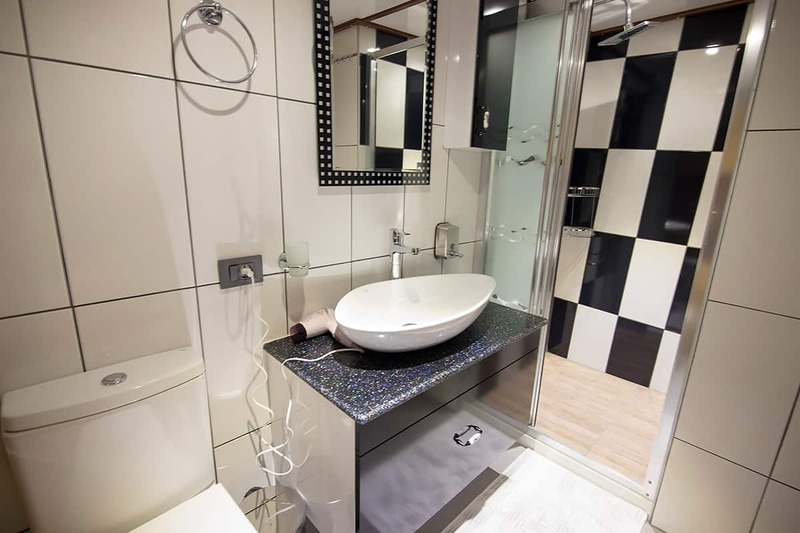 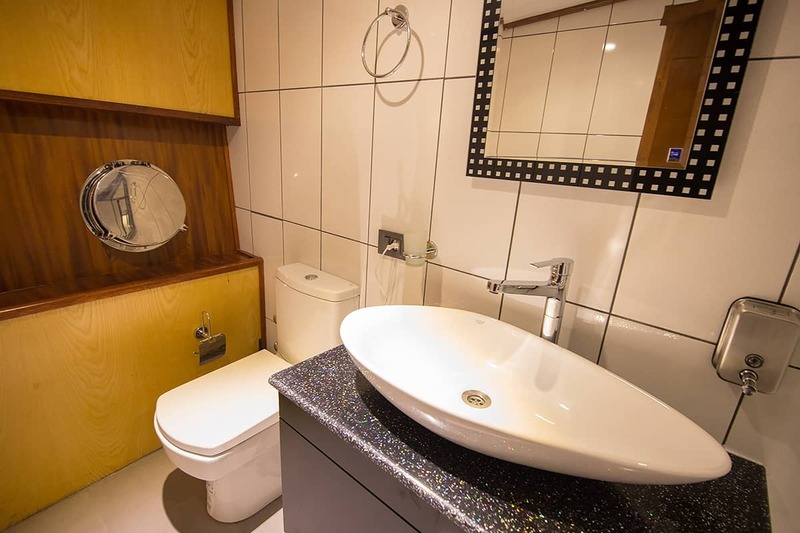 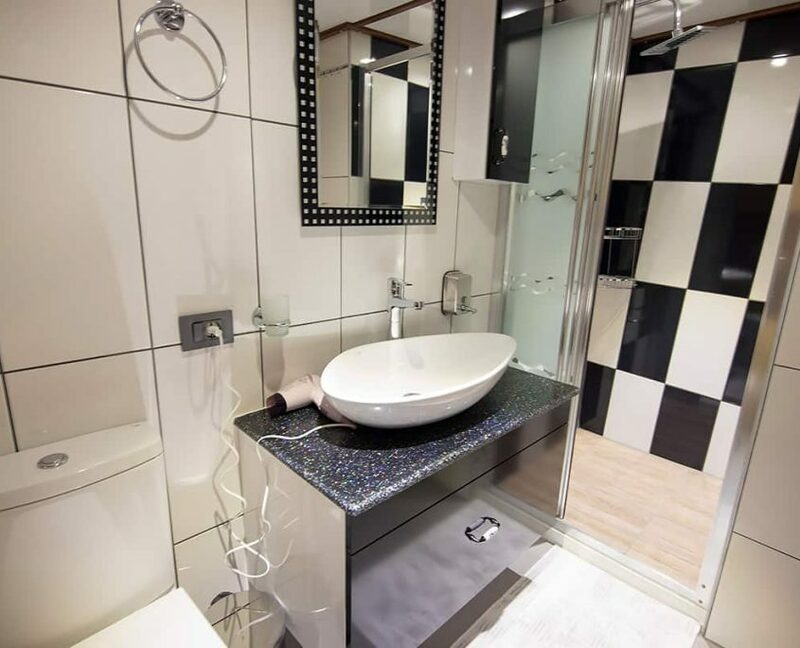 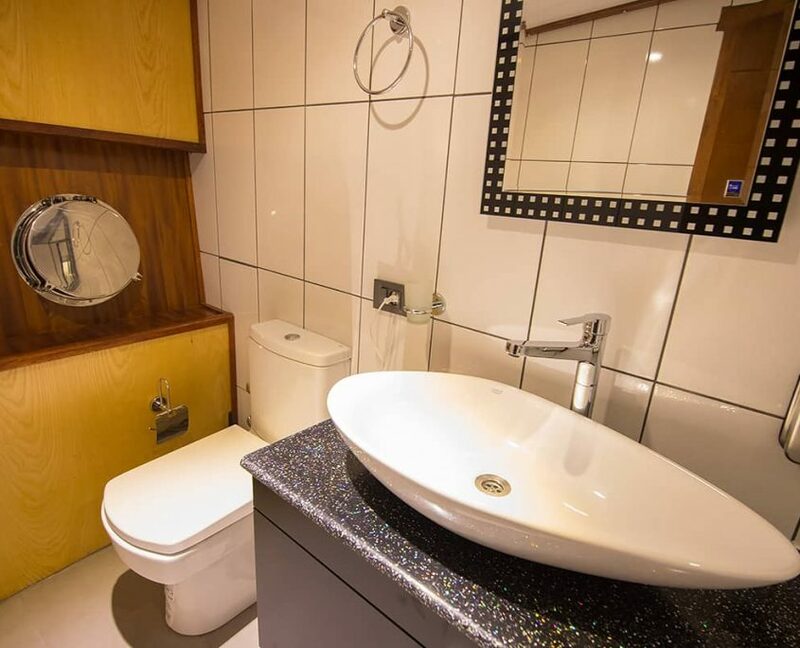 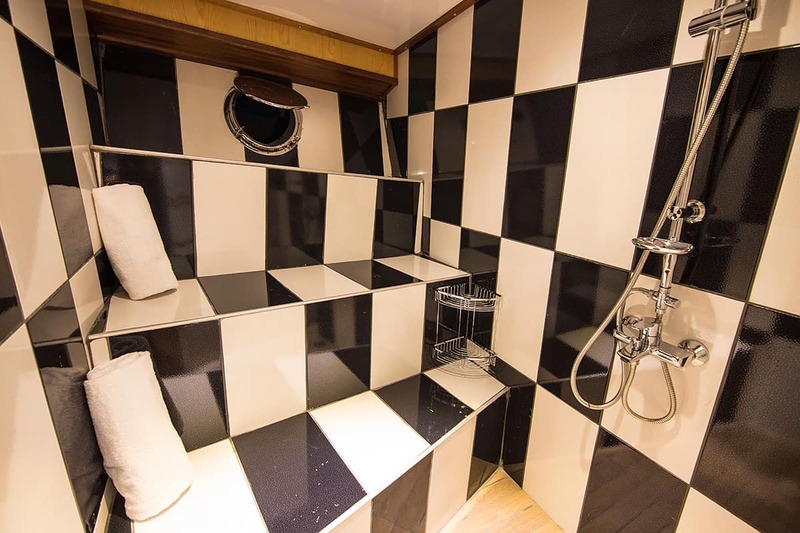 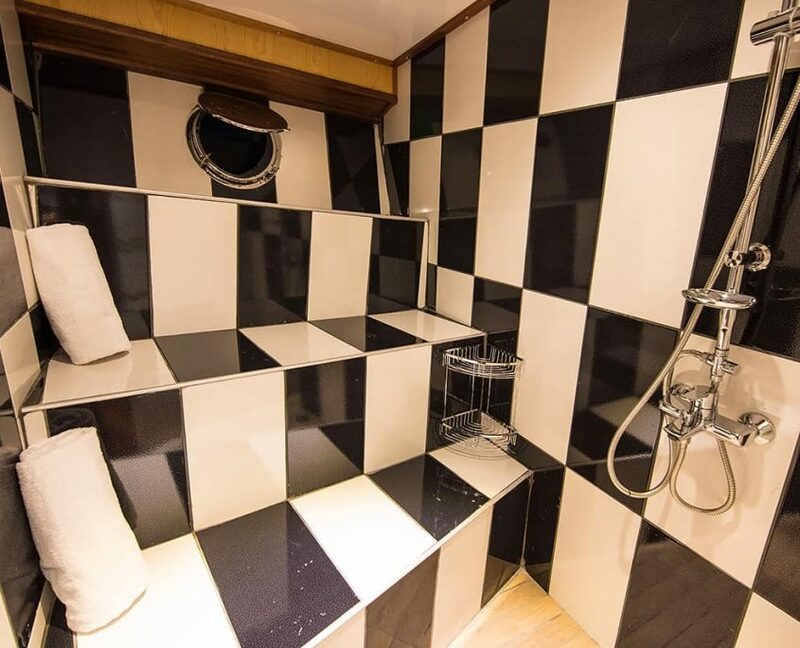 36 guests in 18 cabins with private bathroom equipped with home type toilet.